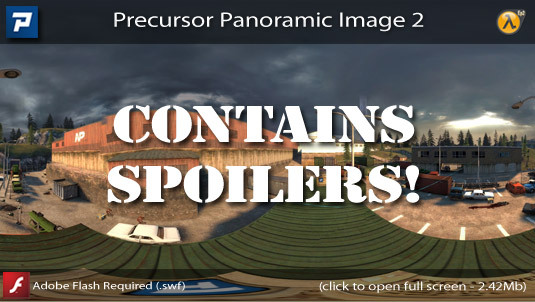 Copy the Precursor folder into your SourceMods folder. Precursor should now be listed in your Library tab. This is a fantastic piece of work and everybody involved should be proud. The beginning is absolutely fantastic and I’ll be playing that again, which is very unusual for me. Unfortunately, the next 20 minutes is very average and almost boring. The levels are very plain and the action too repetitive. However, once you get going there are some great set pieces. If you haven’t played this yet, go play it now. The rest of this review contains spoilers. I found the voice acting to be excellent but the voice management lacking. Whilst the voices aren’t particularly important for the story and you never actually need any of the information given, the fact that you can walk away and ignore it completely seemed silly to me. The train section was superb and I could almost imagine playing something like that for 15 minutes. Once you really get outside things look and play fantastic. The snipers were never too hard to beat but definitely added a level of anticipation. 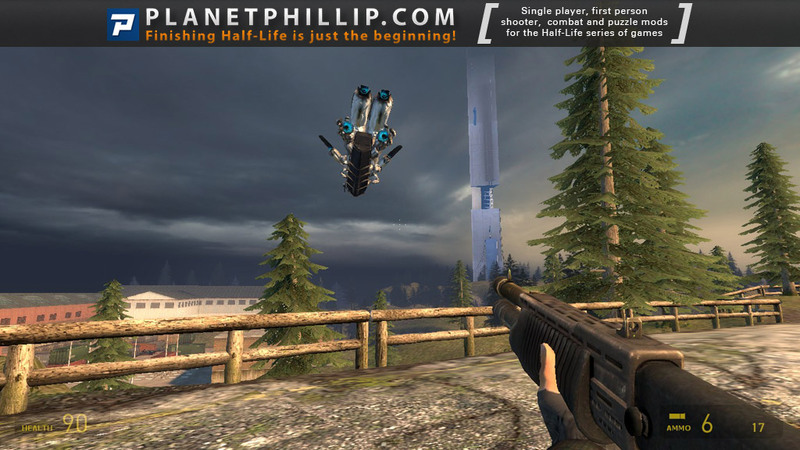 The prototype level and its action was brilliant and the team clearly did a great job of coding the “new” enemy”. It would have been nice if we had met it earlier and been given a taste of what was coming, so when it did happen it would have added to the fun – anyway, that’s just a personal idea. I know it had a lot of testers but I was disappointed with one or two invisible walls and screenshot 48 shows how you can see out of a container. Mods this big will probably always suffer from minor issues like this because it must be very frustrating to test properly and fix all the points. The mod might have suffered from the idea that it had to take me through a dark car park and office buildings but it was varied enough to not frustrate me. 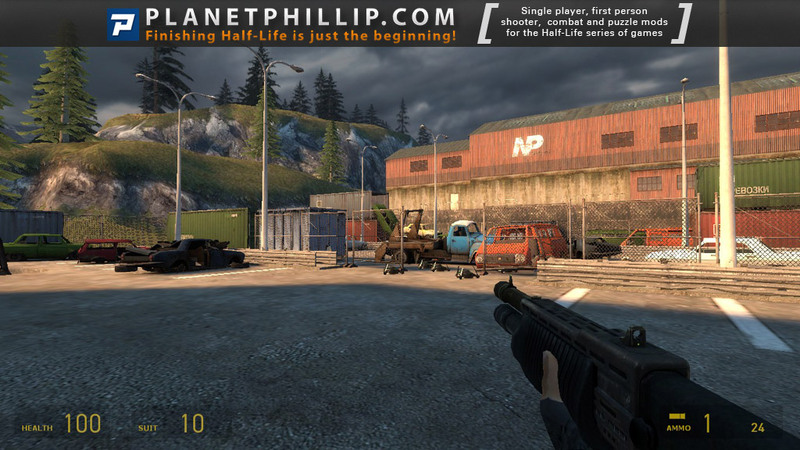 All in all a wonderful piece of work and quite possible the best HL-universe mod you will play this year. Without doubt you MUST play this but don’t do what I did, and that’s rush through it. Take your time and saviour the mod. You do see it earlier. I saw it peeping through a window at me in the factory. It’s an awesome campaign! Yeah, I definitely heard it, but I might learning a little more about its capabilities. Maybe view it fighting rebels or something. Im sorry but now I have just finished the mod I honestly think you are just nit-picking. The average player/almost all players wont go around trying to find errors in the map. And as an average gamer if I see a small visual error it doesn’t taint the experience at all. I’m at the prototype level. So far I’m clearly impressed : some nice puzzles, good battles… This mod is overall CLEVER. 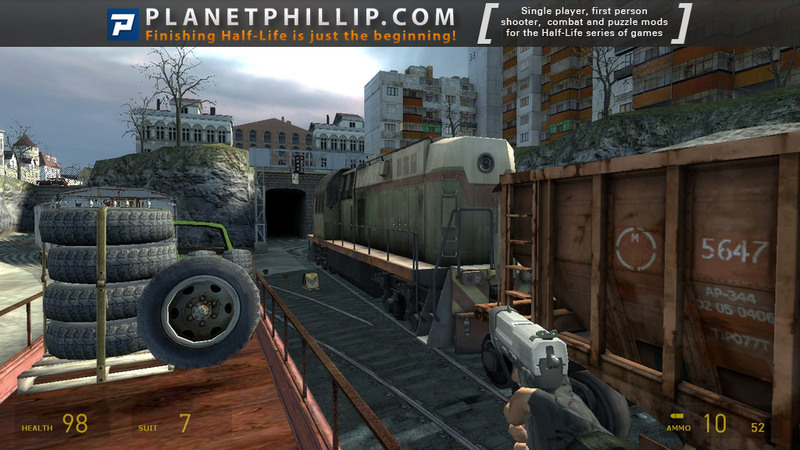 After so many PP mod’s strictly in the hL2 verse, I’ve never thought I would still be impressed with no “new” content… But this mod amazed me with its stressful beginning, the train ride (!!! ), and also, unexpected, the “advanced” Hunter… Clearly, wow. I’ve to finish the last chapter but it’s already an amazing piece of work. 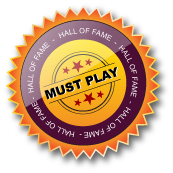 Apart from the awaited Mission Improbable 3, it could be the MOTY 2011. …then again maybe I’m saying that because I haven’t played such a satisfying mod in a very, very long time. either way, the whole presentation and follow-through outweighs the occasion bug or bland area, so I say this is a 5 star mod. I’ve added 2 panoramic images. 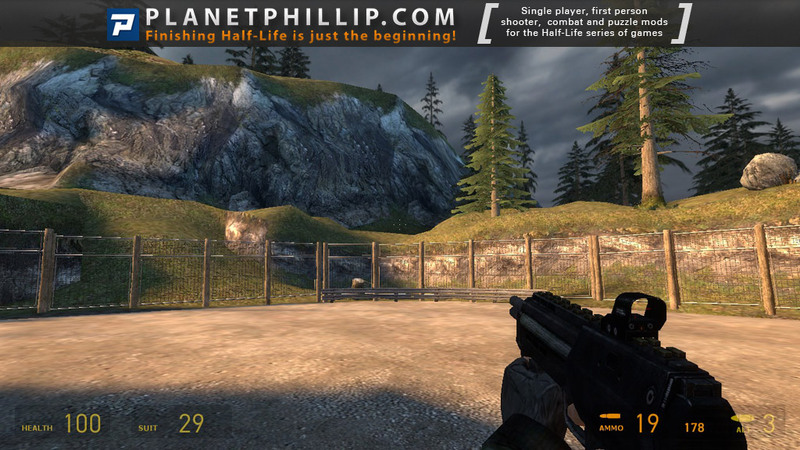 I will also be interviewing the developer of this mod in the very near future. 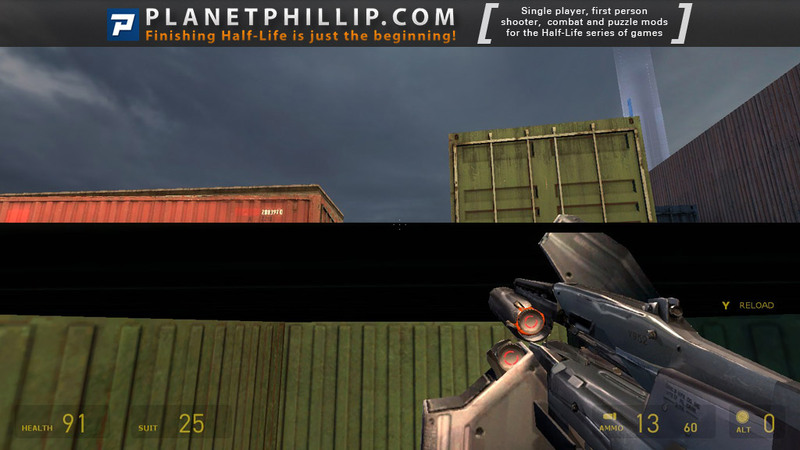 Question, did the mod team re-skin the crates or did Philip? And is it just in the panorama pictures not the game? The crate skin is just for the panoramic to stop other sites and people stealing the flash file and claiming it’s theirs. -during the train ride, I wonder if we can jump from the train to fight at some places, such as the station where some citizens are against a wall, subdued by CP? 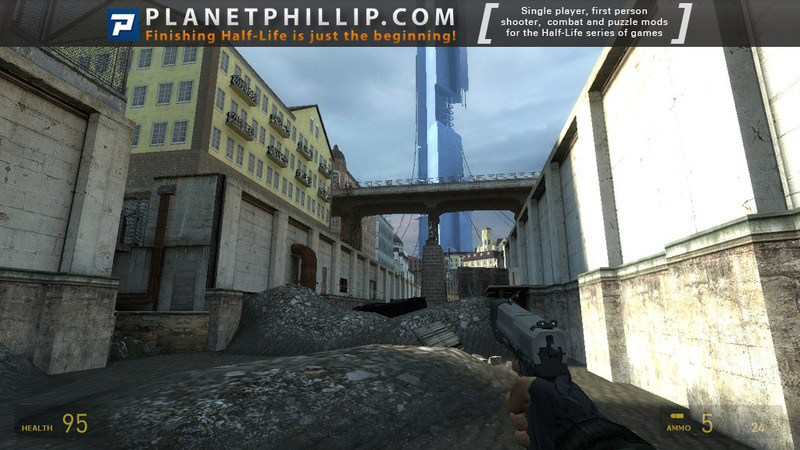 -The bridge at the end is the same as in “Freeman Pontifex”, isn’t it? 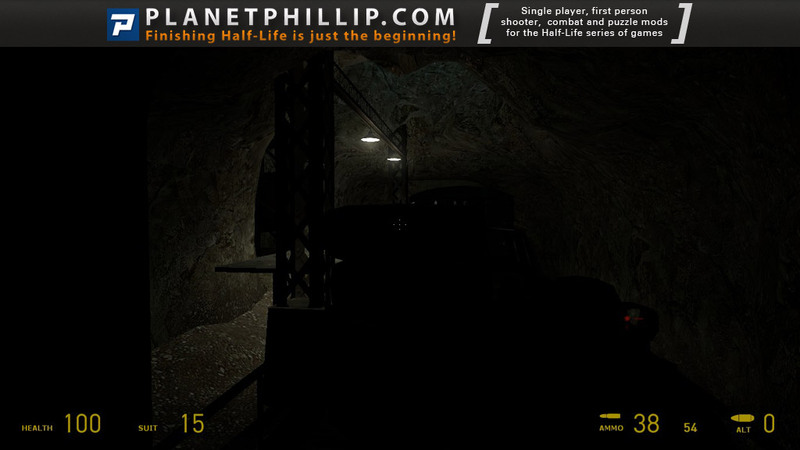 And another point I want to praise : throughout the game you have no flashlight at all. At first I was “hurrr this is going to be like 1187 and I will see nothing in some parts”, but the lightning has been used well, even in some dark places, there is always a flare, a lamp, to see what’s important to see, and to find your way. I’ve followed the project a little throughout the public releases on BetaTestersCollective, and it seems to have worked. Since I’m not a psychotic of going to the extreme borders of a map, I didn’t see any invisible walls at all, IMHO. Unfortunately it crashes after the blockade fight with machine gun against runners: every time I slip under the steel curtain: bang! crash! Does this mean we have to wait for full opening? I too would like to know whether I can jump off and back on the train for extra manslaughter. I had this crash too,and I removed bin directory from the precursor folder and than ir didn’t crash.Don’t delete it just put it somewhere else.I hope this helped you. As for the mod I liked it very much,really professionally done,great gameplay,great length(not too long,not too short – perfect),and voice acting isn’t bad too. Absolutely fantastic mod, there were several points where I had health in the single digits, but didn’t die, the lighting was great, and I felt that the puzzles/findables were cleverly placed/decorated. 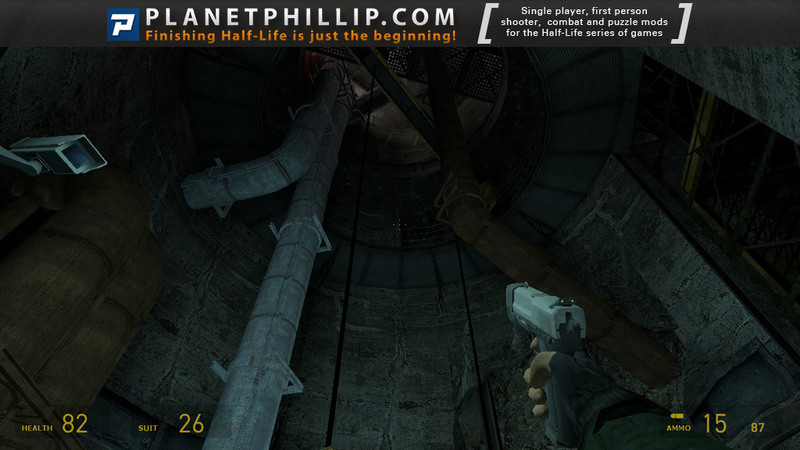 There was one point in the Silo-looking part of one of the maps where it looked like you could clearly land on the floor below you without taking any fall damage, and I made the fall, and died instantly. That kind of unfair, trigger-kill is very bad practice. The white-board behind the modified combine vest was great, I loved the comments. They seemed realistic, and even somewhat funny “.308 (? )<– How did that go?" But again, this mod was great, I never give out "Personal Favorites" but I'm really tempted with this one. I did my hardest to find stuff I didn’t like, it’s almost impossible. I found myself getting overstocked (aka having 100 health and then get 5 med-kits), I don’t think it was the difficulty, because I found the game to challenge me enough on Normal, it just dropped a little too much health and ammo on me sometimes. This could be explained by the fact that everyone ain’t me nor will be me. While that is said I’m happy just to see voice acting in a mod, it is done to rarely, so just having something is really good. Consider what I haven’t said to be all right, and totally awesome. Oh and one last thing, I think I saw some movie references in there, Enemy at the gates perhaps? Probably just about a PF from me. But what I really enjoyed about this is the new…stuff…in it. Some challenging combat and decent puzzles combine with decent mapping and excellent new gameplay mechanics in this decently lengthed mod. 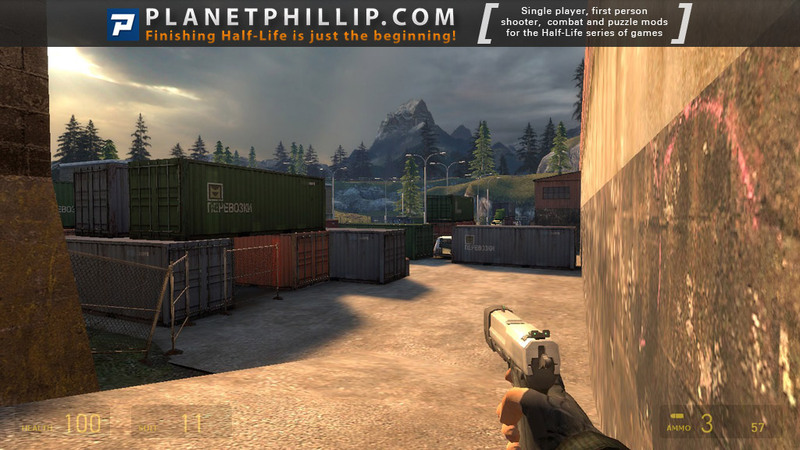 “…and quite possible the best HL-universe mod you will play this year” – I agree twice. 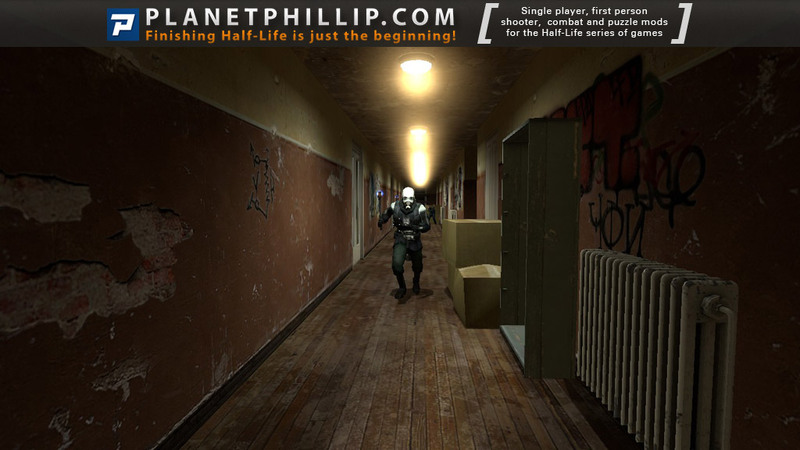 I was waiting something like this mod since the last official HL1 add-on. 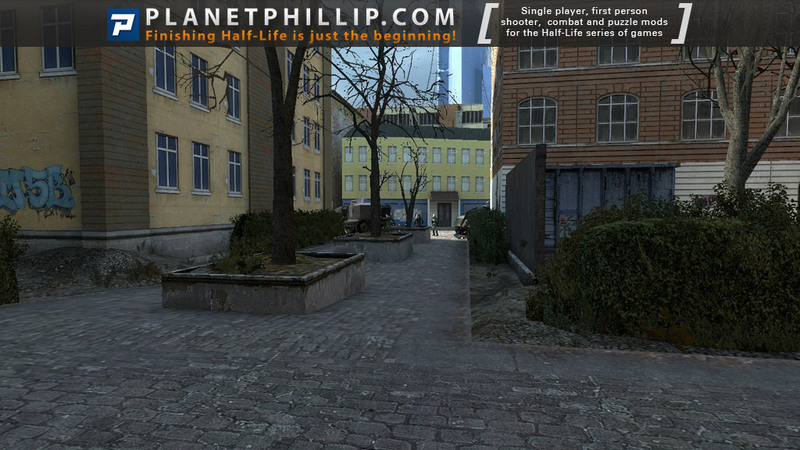 It successfully combines the original HL1 atmosphere with the modern HL2:Ep2-engine and characters. 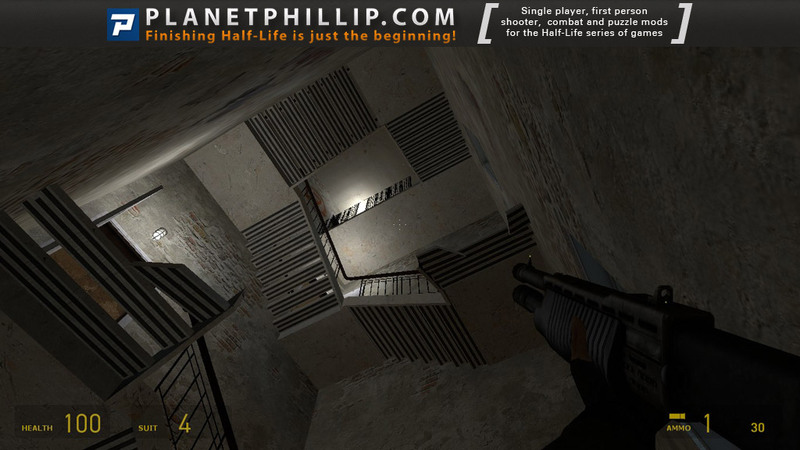 I felt like I’ve come back to that train at the end of HL1 and continued my campaign. Welldone! I don’t give PF’s very often (perhaps less than 10) for those few mods that do everything nearly perfect beginning with the best weaponless start that I can remember. The combine banging on the locked door in image 7 was one of those little bits of perfection that put this mod on the top. The few areas that I found a little boring were soon forgotten as I progressed through other beautifully mapped areas like the big warehouse just prior to the beautiful prototype map. The train ride was fun but seemed a little too fast. I would have liked more time to shoot at some enemies along the way, especially to free the rebel being arrested. I guess he is in jail now, or dead. A really fun ride all around. Very impressive work. Inconsistent at times in terms of quality. Although the brushwork and everything is good, the settings sometimes feel uninspired. Certain areas were not used to their maximum potential. 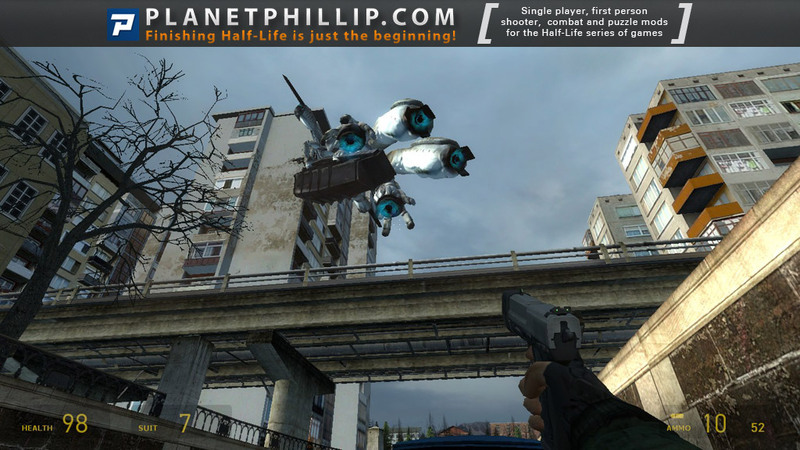 Still, this is probably in the Top Ten for HL2 mods that have released in the last 5 years. As an added bonus, here’s a 2 hr long video I made when I was testing Precursor’s RC2. The mod team has authorized its release upon the mod’s release. This build contains bugs, as well as a weapon that was later cut from the game. Either way, it can kind of be treated as a walk-through. Thoroughly enjoyed this mod. It seemed really well balanced to me with nice flowing levels, and no really frustrating sections. I also liked the slow feed of weapons through the game. 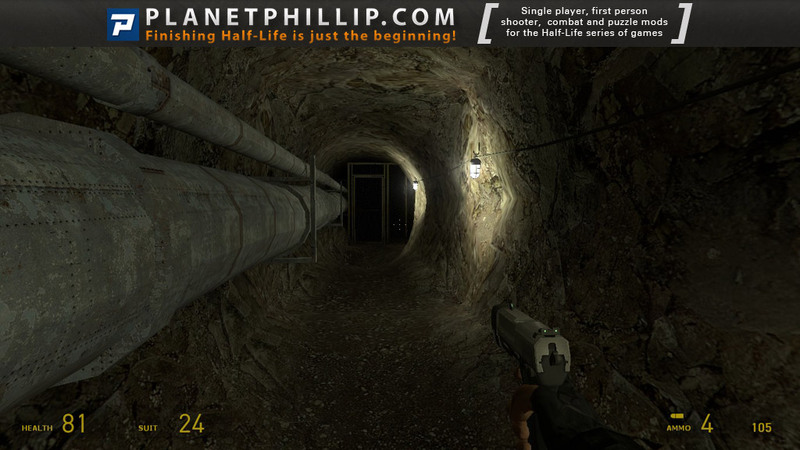 The level design was varied, and I thought it all linked together very well. The mod was also a decent length taking me a couple of hours to finsh (but I do like to look around!). It’s always easy to pick holes in other people’s work, but in this case, I really didn’t find much that I didn’t like. Congratulations to the development team. I can’t wait for their next work. One of my new favorites, this one will remain on my hard drive for certainly 2-3 more playthroughs. Very much enjoyed the entire experience from start to finish. The only slight disappointment was the final battle with the SPOILERS! Such a good Mod tho…top notch! I thought it was good, the best for a while in fact, though I have to admit I did get a bit lost in places, had to use “noclip” a couple of times in my frustration, just to work out where I should be of course….It took me about four and a half hours to get through, a bit slow I suppose, but it was fun. All in all, definately worth it. I didn’t get the train bit, but then I have no patience with anything jumping or all but the simplest ladder to climb. It really fooled me towards, or at the end…still, room to carry on I suppose, if that was the intent. Well done chaps. (are there any Female mappers ? (in the gaming world, it does seem very Male orientated) )…just wondered…and if so, what sort of stuff would THEY do ?? completely enjoyed this, very well put together and tested well. definitely has replay value. I too would like to get off the train at certain points and will attempt to during my next play through. As mentioned I think this mod should be played on a slower pace than some others to be able to really appreciate the effort that was put into its construction. well done and thank you to the dev team. This was an exceptional mod from start to finish, and I could really tell that a lot of polish went into this one. The battles were tough and fun instead of just fun or just tough like most mods. The ending really left me wanting more and I hope this team continues to make more stuff. I have to add my PF vote to this brilliant mod. There was essentially never a spot that was broken or impassable. Very clever puzzles and attention to details that made me think I was pretty smart. 🙂 Just enough fighting to keep the action level up, not so much that I ever felt overwhelmed. The maps themselves are so praiseworthy I think I’d like to create a second account and give it another Personal Fave. The voices were well done, the ideas behind everything seemed to be appropriate. I loved the intro scenes, as well. Very nice touch closing the end. The long, long list of testers: each and every one of YOU I tip my hat to and wish that you would converge on every in-progress mod out there. I am certain that this mod became so smoothly polished because of the extensive beta that MUST have gone on. And obviously, another big THANK YOU to the authors of the mod: for GETTING that help in testing. Good show. A very good mod. Mod of the year? Hope there is more like this. Hope there is more like this. Woooww, im into the fantastic personal favourite wave this mod has!!! !, I mean Who said 2011 ain’t gonna have some great jewls??? ?, well here we have defenitly one! !, great combat, I loved the story of open the field for some important scenes for the HL universe, I love that intro, and that hunter prototype concept, that end battle was magnificent and it was not that easy, the hunter part so intelligent done, with no more words to say this mod is great, oh and by the way, I loved the music, does any one knows what’s the title of that song at the end? ?,those music tunes add an spicy epic enviroment to the end., also I liked those G-Man sightings, I personally think that PRECURSOR, should open a style in the followings mods we see, I mean i’d love to se some kind of sequel not directly related to Precursor mod but INTO the HL universe again, god what a way to retake and save the HL mods universe concept!! !, thanks for this amazing job especially in this lull modding period, an just by now, Who cares about ep3 when we can play great mods like this in the meanwhile?? I had lots of fun playing this mod, but I thought the ending was quite abrupt. It would have been nice to be able to travel to White Forest and do some tasks to prepare the facility for Kliener and his men when they arrived. Such as clearing out an antlion nest or collecting electronics to fix machines. The music was great and was very well timed and always suited the scenario. The environments have to be my favourite aspect of this mod, there was a large variety of scenes and the transition between each of them was perfect. Very impressive overall. The opening sequence was fantastic and I too will watch it again. There were only a few minor things I didn’t care for like some invisible walls and one sequence of spawning fast zombies. I really hope a sequel comes to this great mod. Definitely worth playing again! I enjoyed this mod very much. 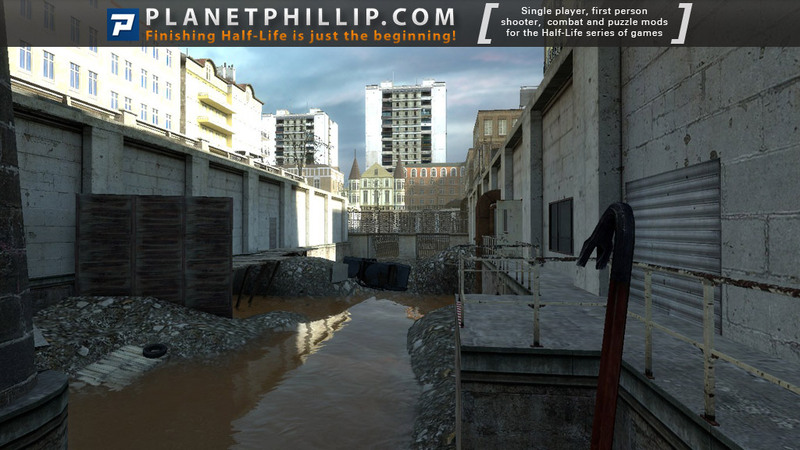 The quality of the environments were extremely detailed throughout the entire mod. 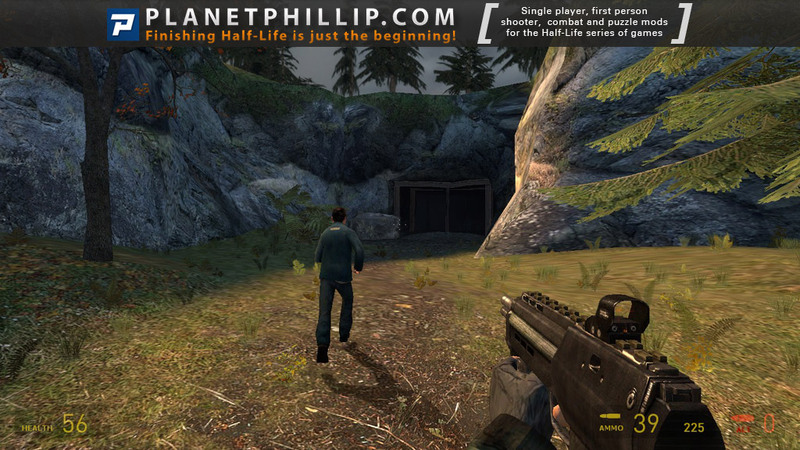 I would even go so far as to say they were on par with HL2 and the Episodes. The custom whiteboard texture behind the armour was a beautiful touch. I thought the action was,for the most part, well paced and it never became overwhelming to the point of frustration. There were some very interesting and well thought out set-pieces. I really enjoyed the sections where evading the enemy was a potential strategy, mainly because it mixed up the run and gun routine. I also thought that the AI seemed much more intelligent, or at least more unpredictable, in certain places compared to most other mods. One of the most interesting moments was when I was performing one of my usual tactics of hiding around the edge of a doorway just after being spotted by combine soldiers. Usually the soldiers barrel past through the doorway and I can shoot them in back one by one without incident but in this case the soldier moved away from the door and tossed a grenade at my feet so it could clear the room after I moved away. I’m not sure if this event was an just an interesting coincidence of events or if was created due to tweaking by the mod team but it’s those “Oh crap” moments that makes a mod special in my eyes. I commend the efforts by the team behind Precursor. This mod is the perfect example of what can be achieved with sufficient testing. I truly hope there is more to come. I think this was true too. I remember seeing a combine knock something over to stand behind it, which is cover-based combat that I wasn’t even aware they had programming for. 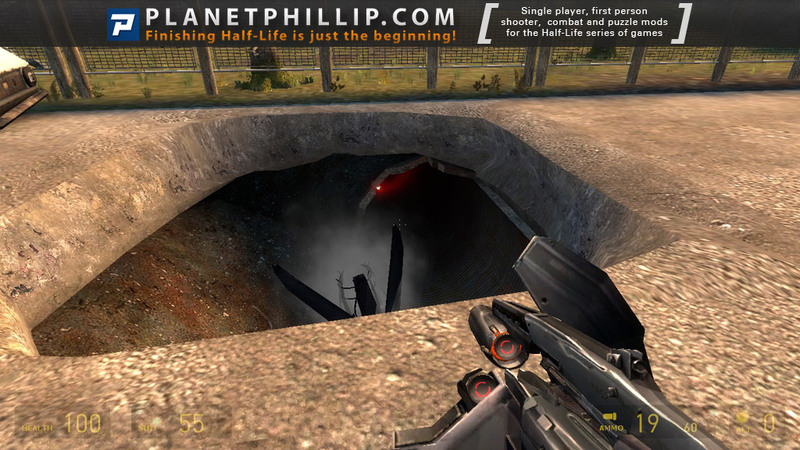 I was used to seeing that in Fear while playing it recently, so it kind of surprised me being used here in a mod! It’s really good, so stop reading my babbling and download it already! This mod has a good story, told mostly through well acted radio communications and a neat opening sequence, that has your character helping the rebel cause by taking control of a facility we come to visit later on in the official campaign. It finds a niche in a plausible, untold backstory. To get there, we visit all sorts of different environments, from city streets, to canals, parking garages and forest industry. 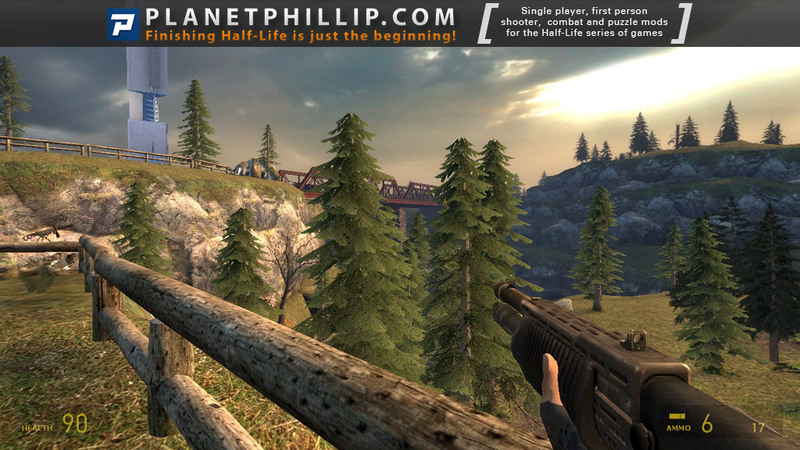 The level design does a great job of reinforcing the feeling that we’re getting farther and farther away from City 17. And while it visits familiar tropes, they are used in ways that extend the trope rather than merely copying it. Take the parking garage for example. With an excellent use of moody lighting and a dark audio ambiance, the zombies were actually creepy again, if for only a split second. We also see an inventive use of the G-Man throughout the campaign. He’s handled more like an Alma sighting in FEAR – you see him in a lit area, then the light flickers and he’s gone. I really liked the way that was done. The design of these levels was awesome. They had a neat way of circling back on themselves, and teasing areas you’d get to eventually. You can tell a lot of thought and planning went into them because you don’t accidentally stumble into details like that. While some areas looked better than others, they were all lit with uniform quality and featured the same high standard of gameplay. Special mention has to be given to the custom soundtrack, which fits absolutely perfectly. The minimalist backdrops, which reminded me a little of the ambient music in Mirror’s Edge, are a refreshing change of pace from the tired approach of using music only to punctuate action. 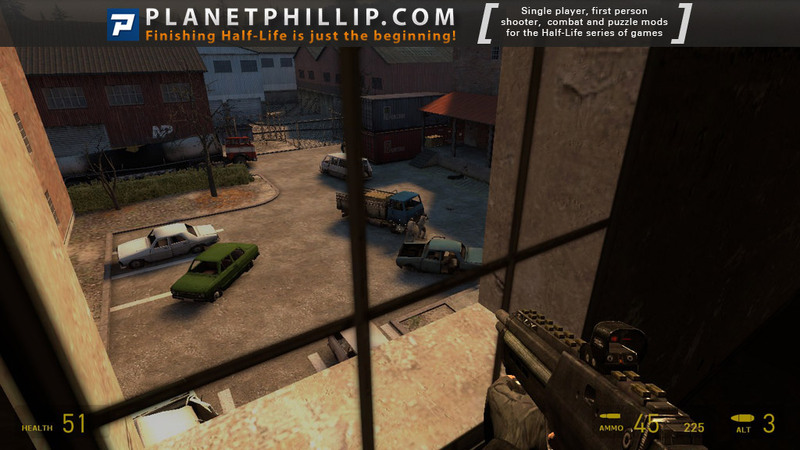 Though, when the action music does kick in, it sounds like something Valve would have composed. I feel anything negative I point out is nitpicking. I think the lowest part of the mod was ironically at the start. I died many times trying to escape the Combine because the way forward wasn’t clear. Sometimes the exit was 180° from the way I entered an area, or the lighting drew my attention to dead ends instead of the proper way forward. And in trying to survive that section, I ran into several invisible walls. The other part that I thought was a bit sketchy was the ending, which I believe could have been paced better. The “boss,” though clever, is followed by one last difficult battle which felt tacked on and awkward. Afterward, rather than leading us off into darkness and ending the mod, I felt a more graceful ending would have been to reveal where we had gotten to. I mean, it does, but not in an especially epic way. At the end of Calamity, for example, there’s that big reveal where the windows open up and you see what you’ve been fighting for this whole time. That would have been a cool way to end this mod. But overall, this mod is very good. Easily one of the best. First time commenting, Long time player. 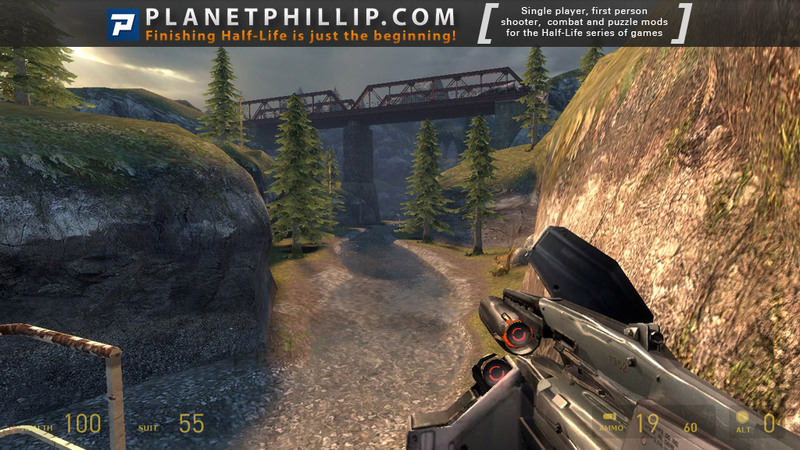 I must say that Planet Phillip is awesome,I mean if your a Half Life lover then this truly is the place to be (“Finishing half life is just the beginning”). Anyway’s, what great mod, a fantastic job well done to the Author and all who had a hand in the making. Keep up the great work. 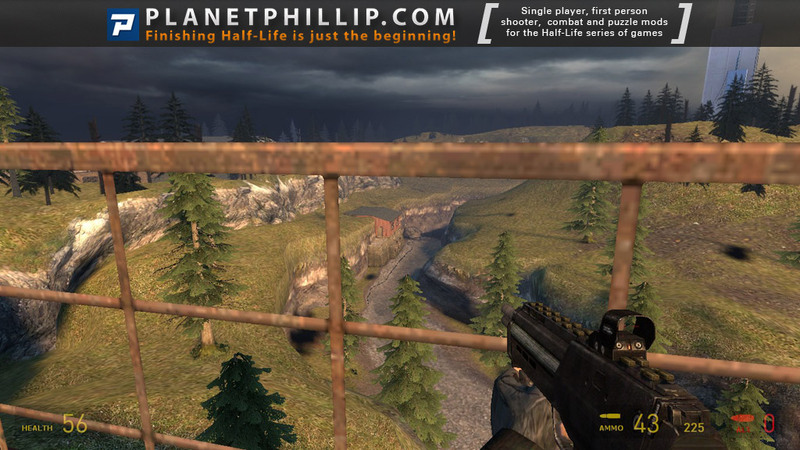 I truly am grateful for all that everyone has done for the Half Life Game. I’m glad you made the step between viewing and commenting. I agree this mod is fantastic. Look out for an audio interview with the author. I get to the the train bit but cannot jump onto the train – just stuck – tried noclip still nothing so frustrating – any ideas? this was a great mod and the puzzles were very very tricky. 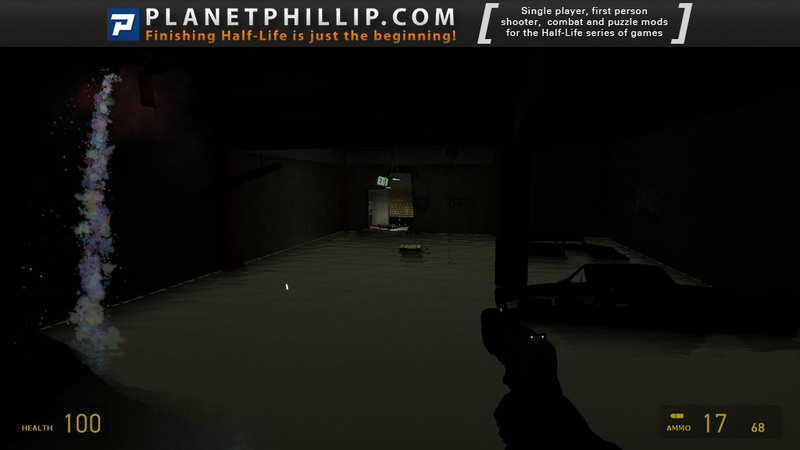 I did find it too dark in some places the stock 2.2 brightness had to be moved up to 1.7. it might be my old monitor dieing as few have commented on the darkness level of the mod. Very nice mod but a bit short. 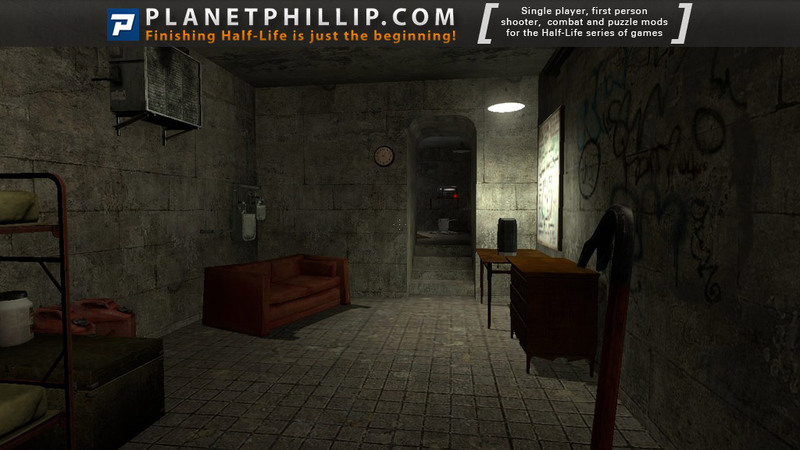 It has a nice variety of scenarios and game mechanics, but one of the few let downs were that most of the indoors areas looked pretty blank, lacking a lot of details, and the lighting was really simplistic, but everything served its purpose. The puzzles weren’t that hard to solve, they were actually pretty easy. 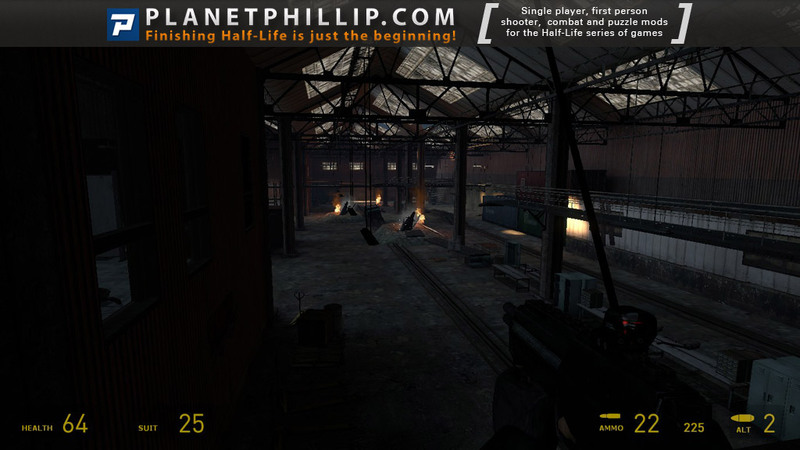 One thing that I enjoyed the most was the atmospheric feel to some scenarios, like that huge warehouse. 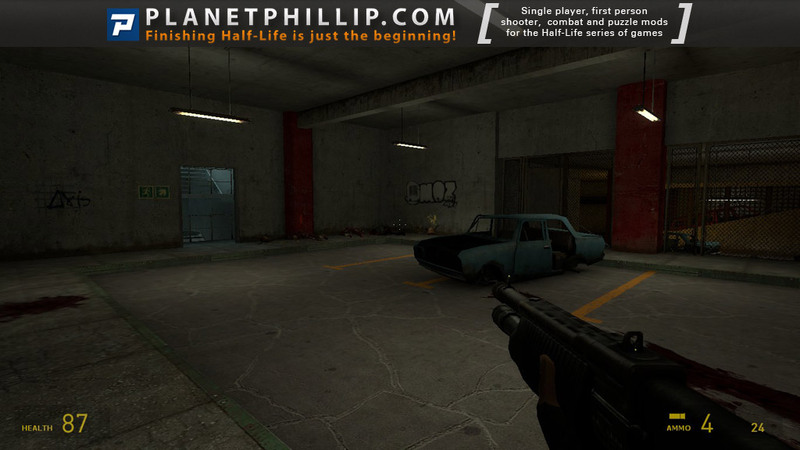 Overall, an excellent HL2 storyline based mod that sure fills up the lack of good HL2 style mods recently. Let’s see what comes out of the sequel! As Philllip says – WOW! A complete gem – this is a must-play mod! I absolutely loved this, and once I’d finished it, I had to go right back to the beginning and play it again from the start because it was so good. It’s not so easy to pick holes in the polish, but as has been mentioned previously, the invisible walls and getting glimpses of things you shouldn’t are a particular niggle, as is the bug causing the crash if you duck through the slow-opening shutter (seemingly before it hits the top) whilst you’re fending ’em off at the the blockade with the machine gun. All in all – thoroughly enjoyable, well thought-out and extremely well executed. Been playing mods from PP for a while now but finally got around to making an account! Completely agree with everyone else’s comments; I wish I could map this well. I thought that the story was simple but effective, the combat was fun and varied and the environments (especially the wide open spaces towards the end) looked fantastic. I did find the [spoiler]fight with the modified hunter[/spoiler] a little odd add and it took me a while to work out what was going on, but it was great to have a new gameplay idea. Congratulations to the modder – if this was his first piece of work it makes it even more amazing. One thing I found quite strange that nobody else mentioned was the fact that in the final map(s) the Citadel seemed to be directly opposite the mountain from episode 2 (foreget the name), but maybe that was just me. Anyway, great mod, eagerly awaiting more! 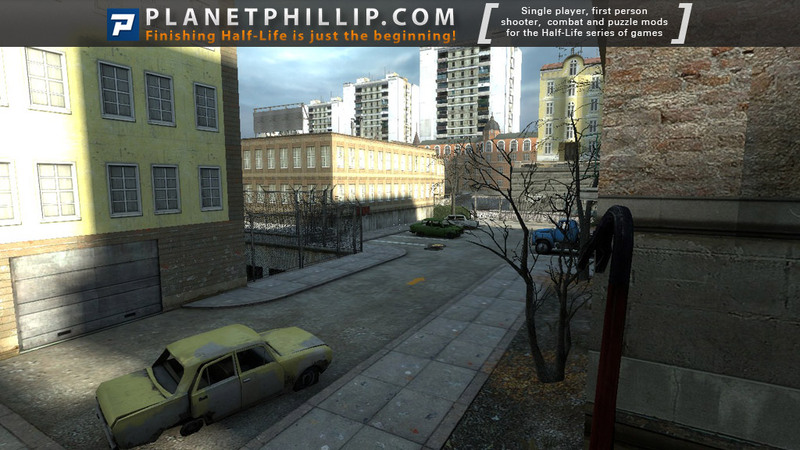 I’ve played alot of mods with City 17 in it. How big is City 17 anyway? Let’s try other cities next time, like what is City 1? But the mod was amazing! The Hunter was pretty tough, “Prototype”, is this Hunter a new version of the Hunter? Because I know the Hunter had some use in the beginning War. I hated not having a flashlight though. The Fast Zombie battle when using the mounted gun was a tough one. Maybe some moveable flares would help. As for the mod I liked it very much,really professionally done,great gameplay,great length(not too long,not too short — perfect),and voice acting isn’t bad too. didnt seem to help , tried a few more times with diff.settings- noclip, notarget,reloaded the game? any thoughts. Hy, my first post on this GREAT site. Crash problem too, with the fast zombies in the garage with the Machine gun. The bin folder rename/delete didn’t work for me. After the steel courtain is open, I entered and crash! BUT! I entered BACKWARDS under the courtain, followed by the runners, then the courtain closed, and no crash! I like this mod BTW. That’s pretty strange: walking backwards helps. 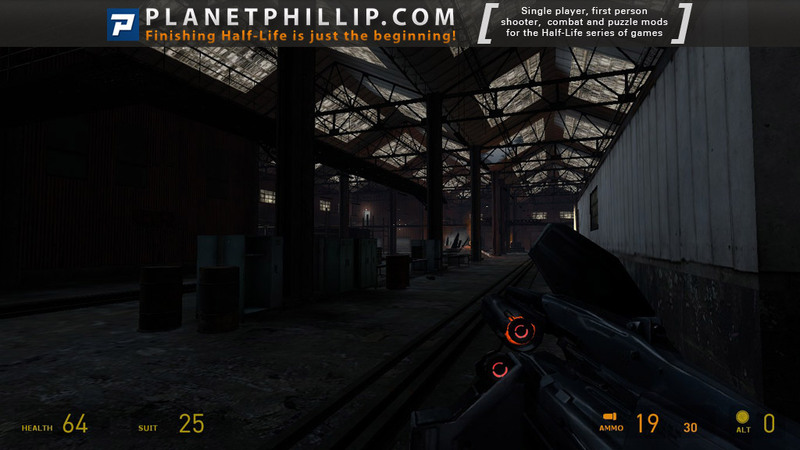 I dare you to play the whole mod that way! HAHA, that would be funny. Glad you like the site. 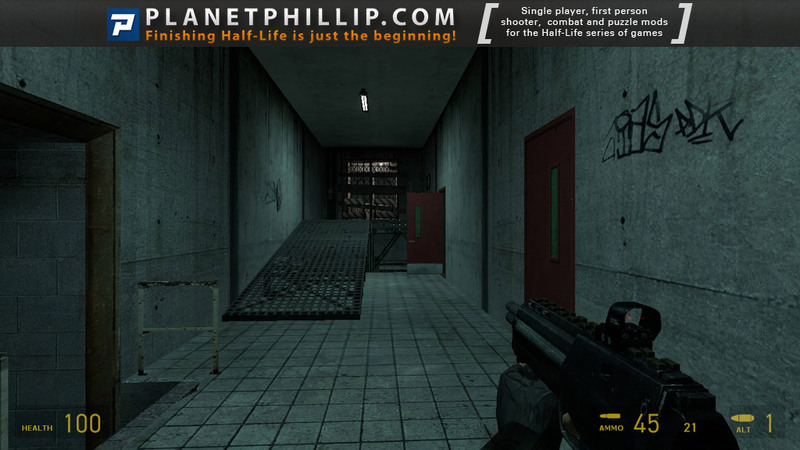 Thank You Phillip Marlowe for the GREATEST Half-Life site on the internet. 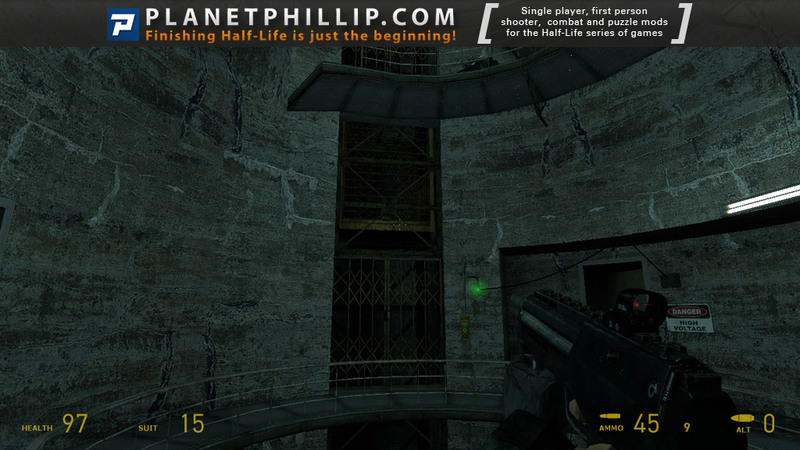 its been a long time since i’ve played HalfLife, and I dont like new stuff… . I hate if I dont know from where the Combines or Zombies are coming *g*. And I dont like Zombies, I am a Girl, I am allowed to “shriek”. Well, fact is that this is really good, and I enjoyed it till now, BUT! (oh no, a but!) my “Hunter”, the little Strider-one, wont die! I shoot everything I got on him, he always walks to a point shooting a little laser and then comes back. Does he want to cut that tree, and that tree just wont break? Do I even have to kill it? You need to destroy the little boxes that the spark is coming from. He is recharging his health. In the parking garage, I beat the zombies by building a barricaded refuge using the two boxes and two barrels nearby. Then I pushed the door button and jumped into the refuge. The zombies clustered around but didn’t enter my refuge. It has to be a small space. I sniped them a little while I was waiting for door to open. Then I hit the crowd with a rifle grenade and went thru the door. I’m just not good enough with the mounted machine gun to hold them off the conventional way! Against the Hunter, I went after his chargers with a shotgun while dodging him as well as I could. Then I hit him with three rifle grenades which was about enough to make him flee. The three chargers made it a challenge that’s for sure! It was a slow process to realize there were that many. I’ll get the bad stuff over with first. In some parts, the combat was a little too hard. I played on hard, of course, but especially towards the end, with the [spoiler]hunter battle and fight after that[/spoiler], it just seemed a little too much of a ramp up. The soldiers were extremely accurate and I had no decent long range weapons to take them out with. Furthermore, health was short (since on the way up, [spoiler]there was another extremely accurate soldier which halved my almost full health every time[/spoiler]). This caused a number of restarts, but luckily it never got too frustrating. Only other problem, a very minor one, was at the start, it was a little too easy to be killed by the [spoiler]CP’s raiding. I went one wrong direction and was shot down very soon afterwards despite turning back quickly[/spoiler]. Other than these, an extremely good mod. While nothing too innovative was displayed (other than the [spoiler]hunter battle – wasn’t quite sure what it was doing the first time, thought it was some strange kind of attack, but it reminded me of the Nihilanth[/spoiler]), the combat was very fluid and overall, never too hard nor too easy. 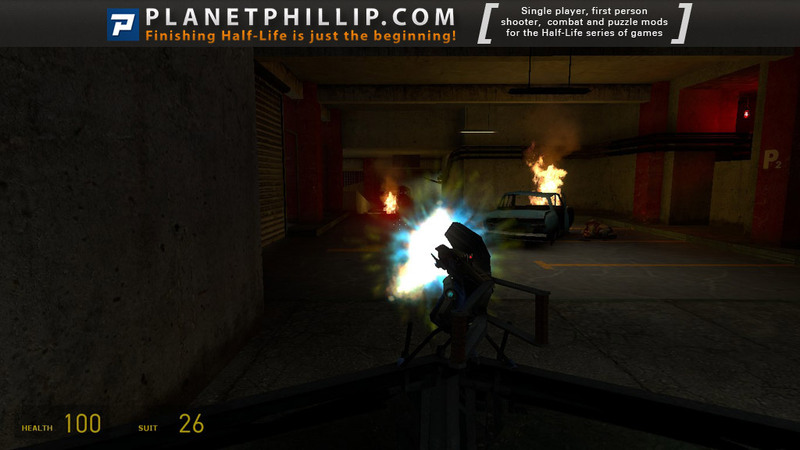 I really appreciated the Combine Lock self-destruct being speeded up – obviously this mod was designed for people who had already played HL2, but it made it a little more realistic. The mod displayed a high degree of polish & attention to detail – while the accents were a little iffy, the custom voice acting was very good (the presence of a non-stock female voice says a lot about dedication). Maps were very detailed and could easily have been mistaken for Episode 2. 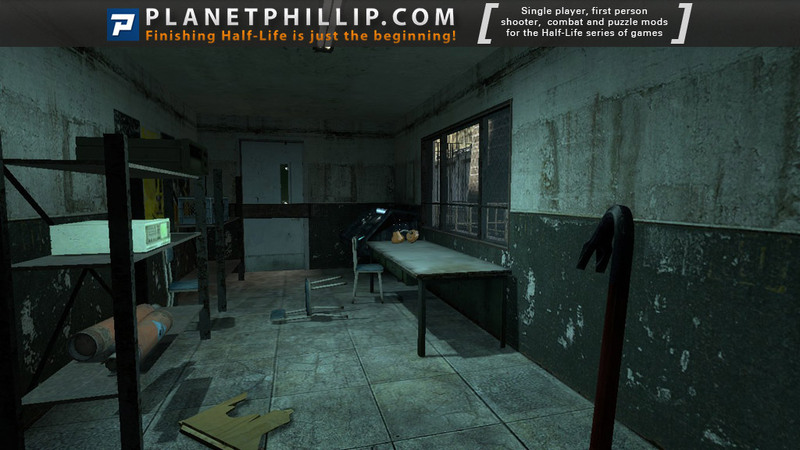 I really appreciated the small puzzles and lateral thinking problems – what makes Half-Life, Half-Life and not Call of Duty. Overall, despite a few small problems, a mod of the highest order. 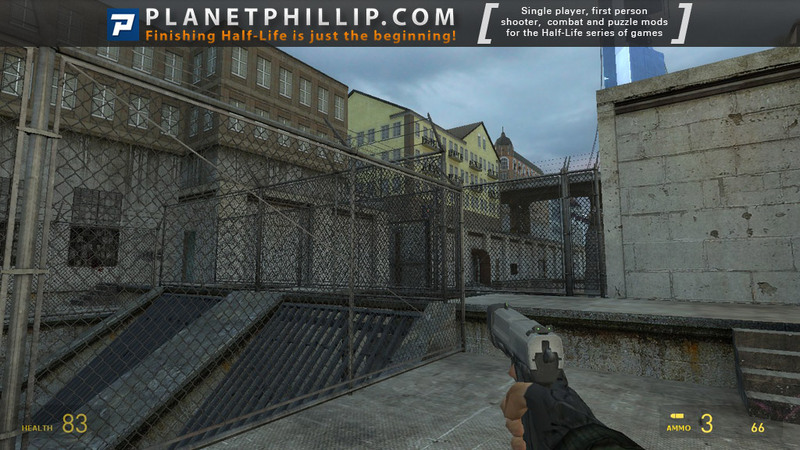 It’s been a while since I played a HL2 mod but I thought I’d see what all the fuss was about. I enjoyed Precursor but it was not without its faults. Thankfully they weren’t too intrusive and it was generally good fun to play. 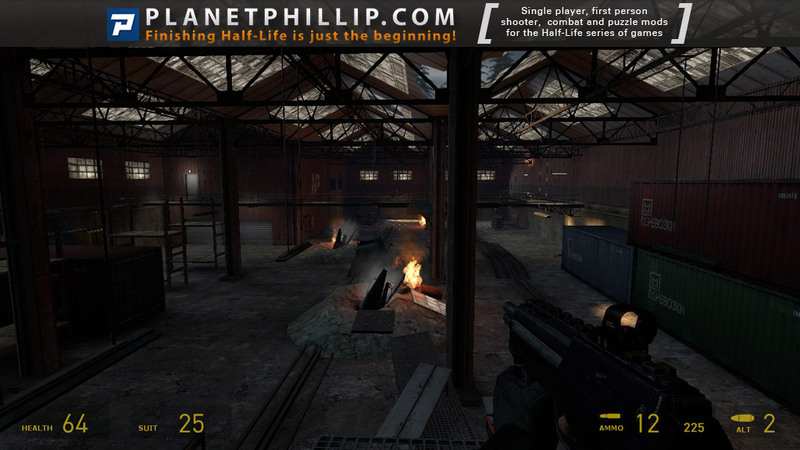 The level design was very good from a gameplay point of view. It was full of interesting scenarios and good placement of enemies and items, and the environment and architecture was nice to look at. I did find the overall colour palette quite bland though, which I think is mainly down to the choice of textures and lack of strong lighting. I have to say I wasn’t that impressed with the Hunter fight. It was introduced very well (I caught two glimpses of it before fighting it) but then there was a long – albeit excellent – section against the sniper which completely killed the suspense and stole my attention. I think the Hunter should have appeared sooner so it was still fresh in my mind. When I actually fought the Hunter it took me a while to realise that he was regaining health, so then I just reloaded my last save, destroyed all the charge stations and nailed him. It felt like a cheap way of increasing the difficulty and would have been much better if I had been introduced to these chargers earlier and was already aware of how they functioned. This was made worse by the fact that every time I thought I had destroyed them all the Hunter would run off to yet another one hidden away behind a rock. The battle inside the office building against the Combine soldiers was really exciting and I liked the environment design. The car park section could have been cut or shortened in my opinion as it didn’t really show anything new. The holdout against the waves of fast zombies was just frustrating; as soon as you let one past you had no chance of clawing your way back. In the end I was backed up against the gate, holding S, and firing blindly at the zombie mob in my face. 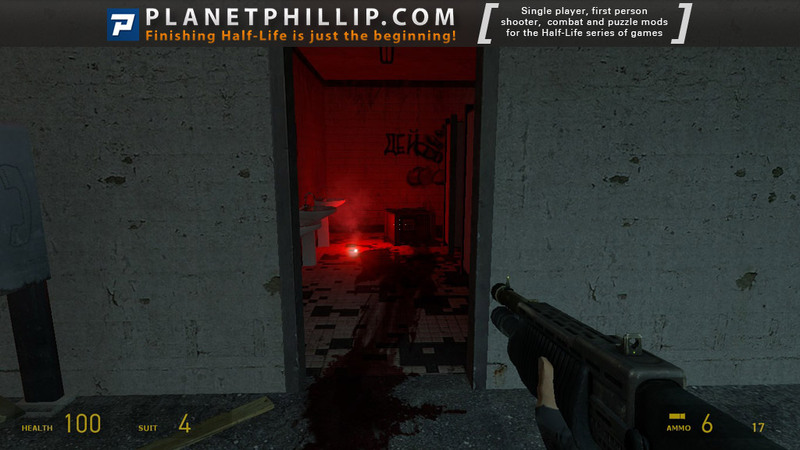 Without Left 4 Dead‘s melee button this was a harrowing experience! Overall though, good fun and it captured the HL feel very well. 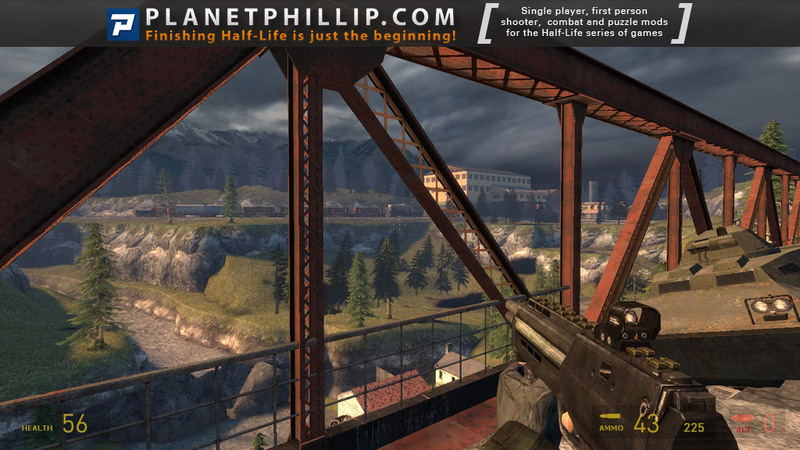 The train ride was a really lovely sequence as it felt like what we were missing from the start of HL2 (anyone who has read Raising The Bar will know what I mean). In the end I was backed up against the gate, holding S, and firing blindly at the zombie mob in my face. 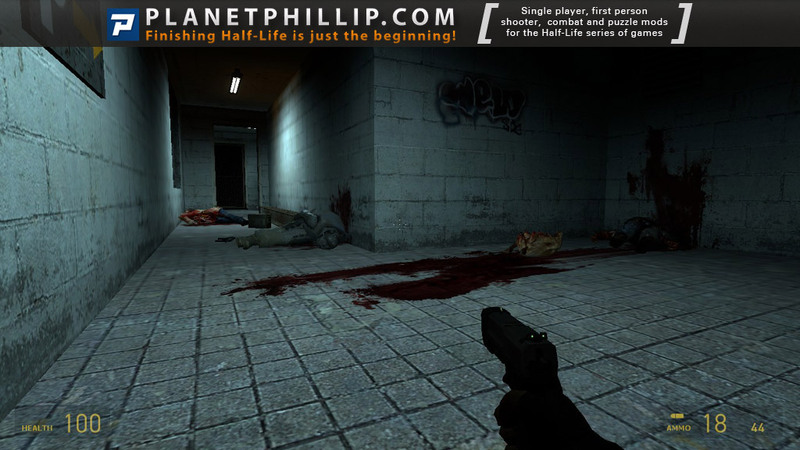 Without Left 4 Dead‘s melee button this was a harrowing experience! The holdout against the waves of fast zombies was just frustrating; as soon as you let one past you had no chance of clawing your way back. Amen. For me, it wouldn’t have been so bad if not for the the muzzle flash on the mounted gun. As soon as I started firing at a zombie coming up the ramp in the distance, the flash concealed it, so I had to stop firing in order to see if I’d killed it, only to have it leap the intervening distance and compromise my shelter. 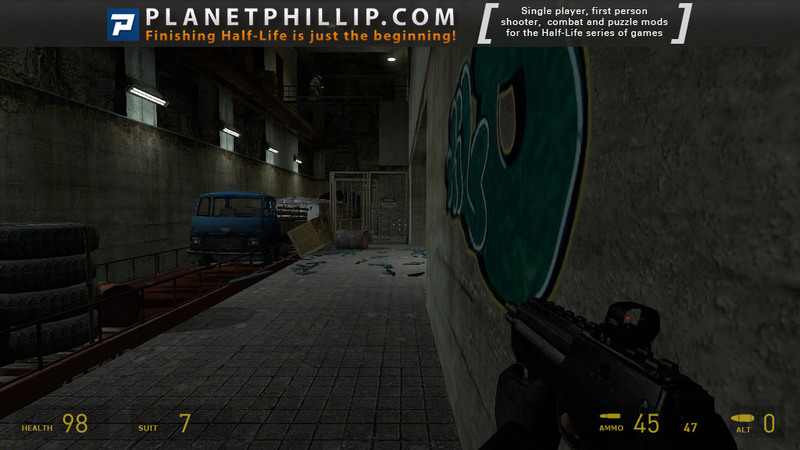 I really enjoyed this and I agree its probably going to be the best HL map or mod I play that comes out in 2011, the way things are (slowly) going. I can think of others I’ve given a PF to in the past that I still prefer, however its really splitting hairs. This is great. 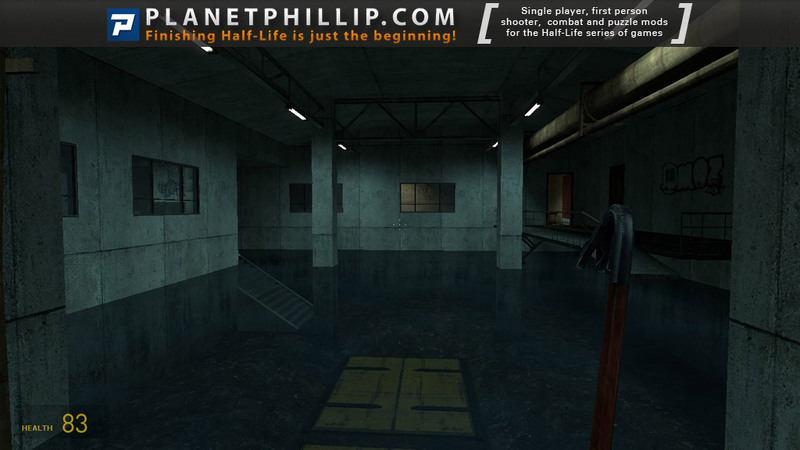 I thought this map had a very professional feel to it throughout. I enjoyed the challenge till the end. Good work! 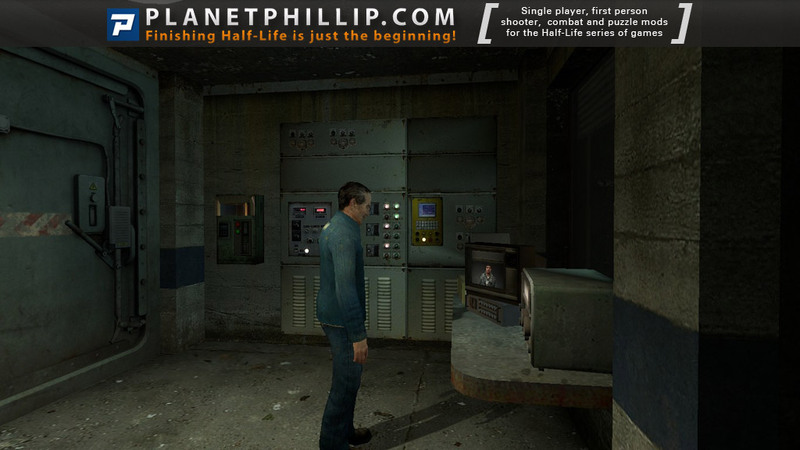 Nothing more to add… Great mod with incredible replaying value! A nice challenge in “hard” mode. Looking forward to the next part! – Added more information in the readme. 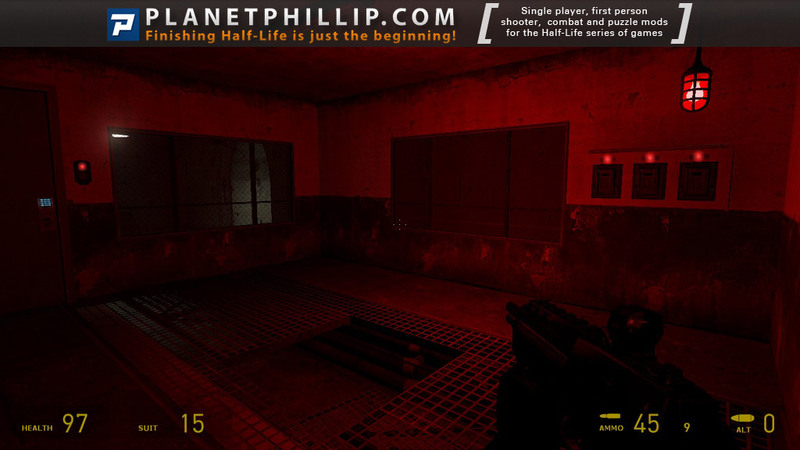 – Increased lighting in dark areas. – Made path through the second level slightly clearer. – Modified jump-on-train scripting for easier access. 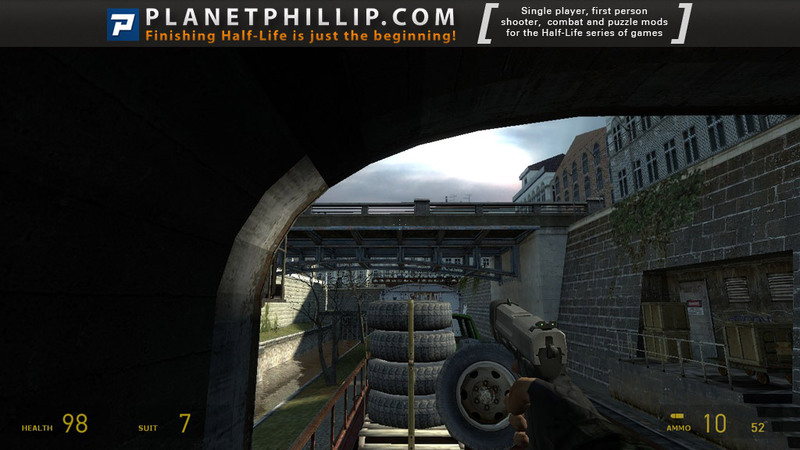 – Made valve which is needed for continued progress easier to spot. – The water release lever now requires that the cable in the same area has been connected, preventing a rare bug from occuring. 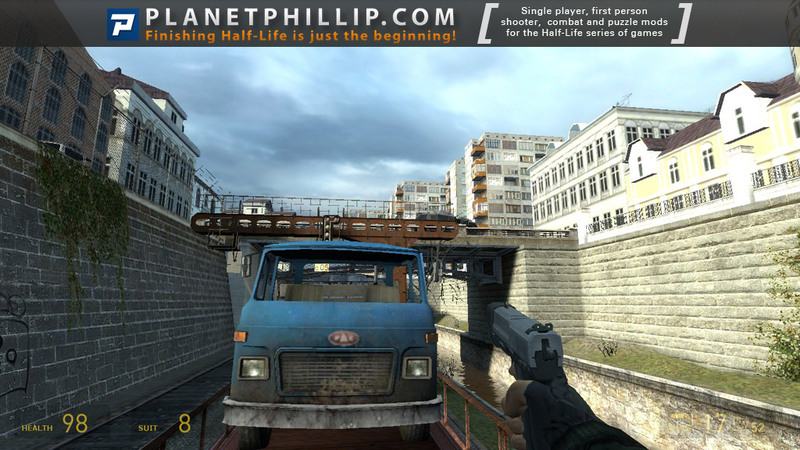 – Player is moved to a safe location after transitioning to the next level while on the train, preventing the player from getting stuck. 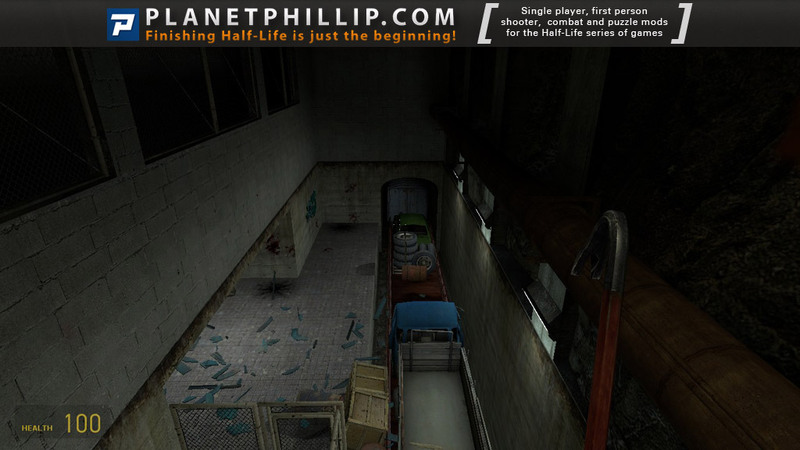 – Simplified the complex scripting of the garages slowly opening door, it should no longer cause any crashing. 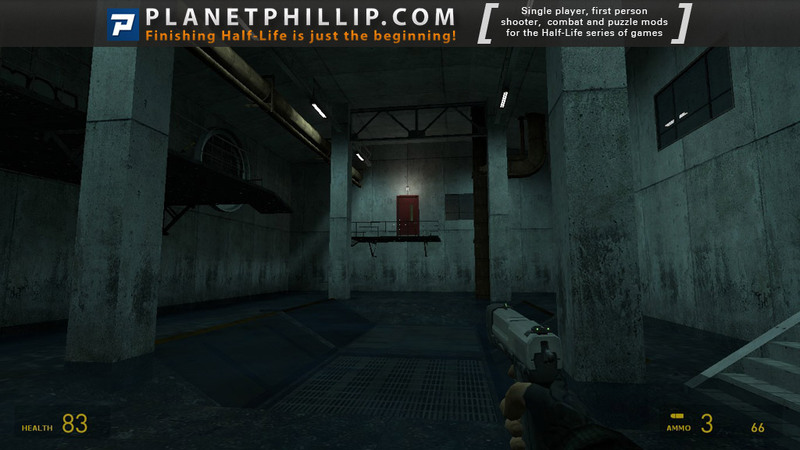 – Modified layout slightly to make the player’s path through the garage easier. – Tweaked balancing of MG-fight in garage. – Modified layout of office courtyard to encourage player not to flee from the fight. 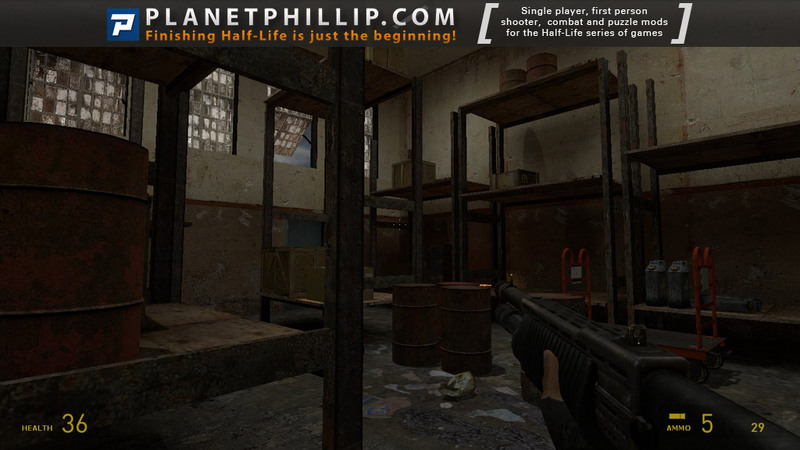 – Added resupply after the factory section to prepare player for snipers. 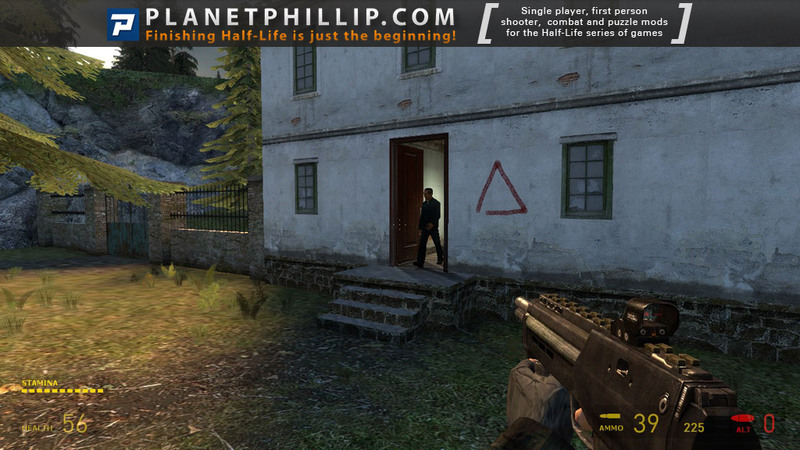 – Corrected the keys displayed for Steam-overlay to Shift+Tab (not Alt+Tab). 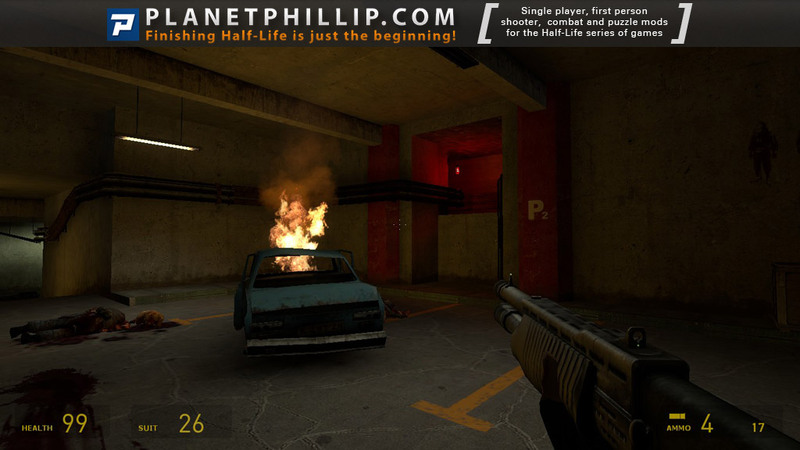 – Fixed clipping to prevent players from exploiting final fight. – Moved charging stations on final fight for better player understanding. – Added better cover at the final fight area, reduced amount of enemy soldiers slightly. I really enjoyed this map pack. Kudos to the author. The gameplay was very well thought out and balanced. I always felt challenged enough to make it exciting without it veering into frustration. 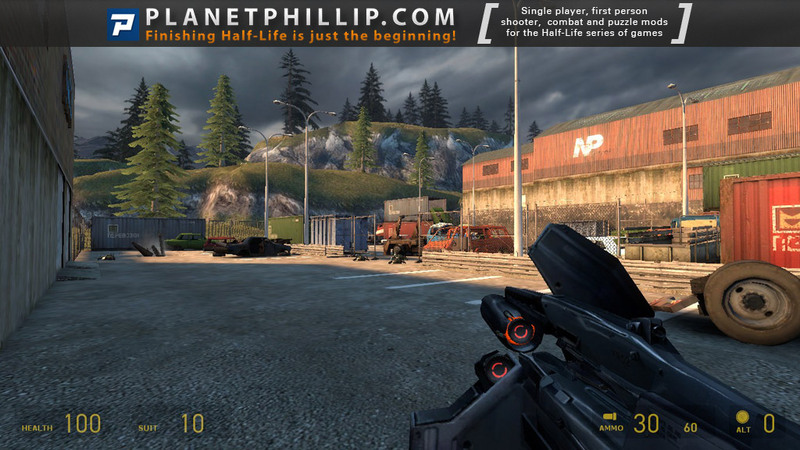 A lot of testing and work went into getting the gameplay right. 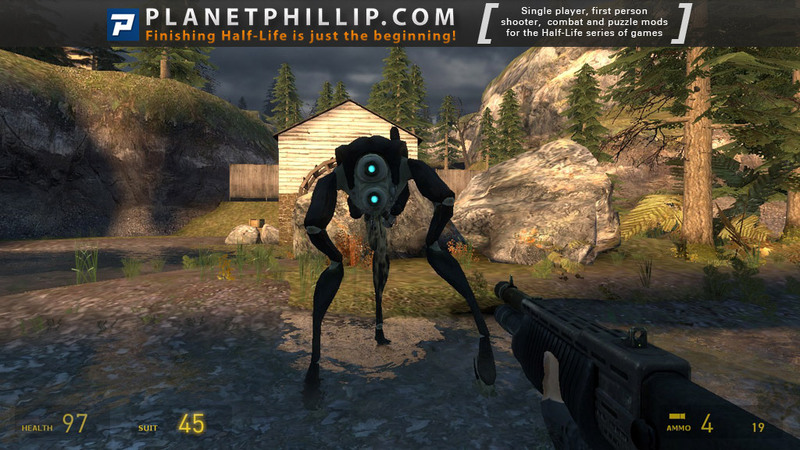 The custom music was excellent and the “boss” fight was really clever just using HL2 assets. Level design and aesthetics were consistently fantastic throughout and the intro was very cool as well. The only constructive criticism I Might have is that the earlier levels tend on the slow side of action and aren’t as exciting as the later more action packed segments. Congrats to the author on the excellent release! I had a small glitch. When a combine soldier rappeled down from a roof, the rope got stuck to his head even after he got to ground. Did he try to hang himself? He must have realized he was against YOU and took the easy way out. Pretty well done, but definitely not a personal fav. If you’ve read some of the other criticisms found above, mine are much the same: the fast-zombie fight in the garages is poorly laid out, the hunter battle’s “recharge” stations were bizarre and unintuitive, and the ramp up to the hunter battle wasn’t executed well. To be honest, the hunter battle didn’t even feel like a boss fight to me [I didn’t even kill it; it just disappeared somewhere], but fighting the Combine on the bridge above was a pretty nice slice of action. 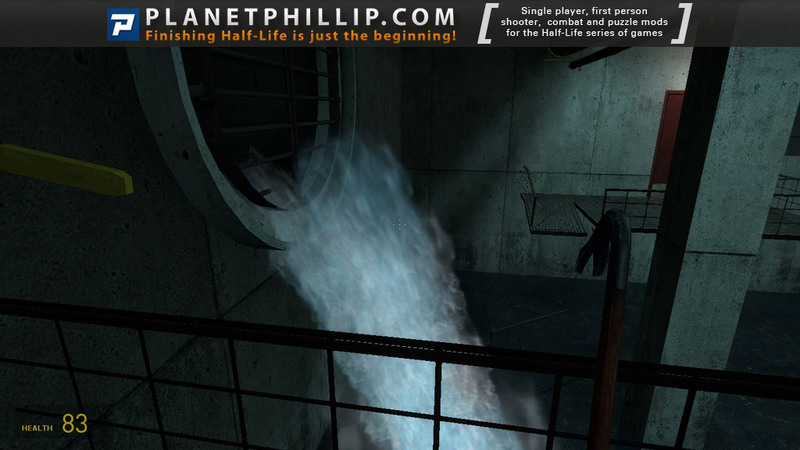 Still, definitely worth playing, and it ties in to the overarching HL2 story really well. 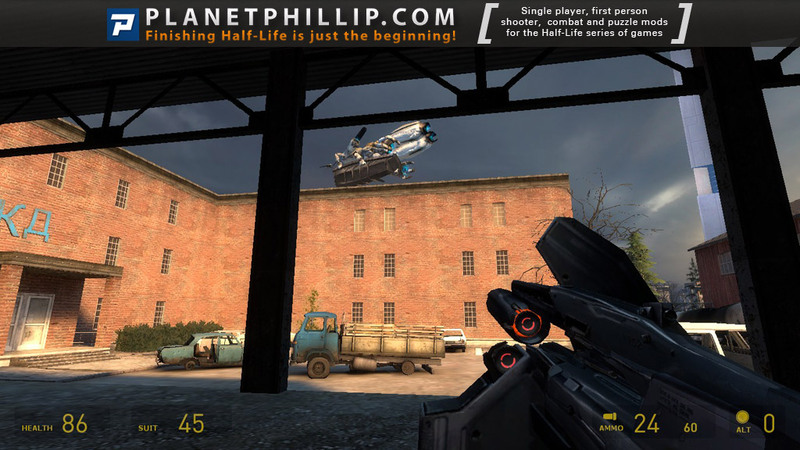 I agree with geekofalltrades, it is a pretty good mod, but sure it aint a personal favourite. Overall, this game was very beautiful, no complaints about that. Areas were very detailed, both indoor and outdoor. However, I did find the absence of the flashlight annoying. While being in the large warehouse, I went up the stair to the room with the poison zombies. It was total darkness on this stair, while I got pounced by a poison headcrab. No fun at all! Furthermore, I cant remember any superb fights or moments that I was completely surprised. Dont understand me wrong, I enjoyed this mod, but it didnt feel special to me. Maybe this mod got rated this high because of the less competition lately, but in my opinion there are plenty of better mods. Wow the mod was fantastic, it was definetly worth downloading, and yeah the download link from this site doesn’t seem to work . yeah the download link from this site doesn’t seem to work . Amazing work, really enjoyed it all the way through. This is indeed a good mod, but 20+ personal favorite reviews?? wtf people. This makes it nearly the highest rated mod ever released. An absolute masterpiece for the community we have here! 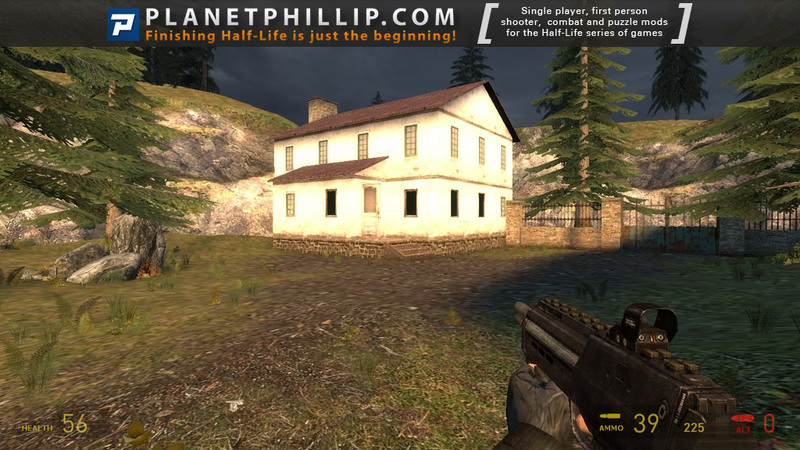 The mod starts calm, with a nice escape scene but quickly starts to get fully flexible. 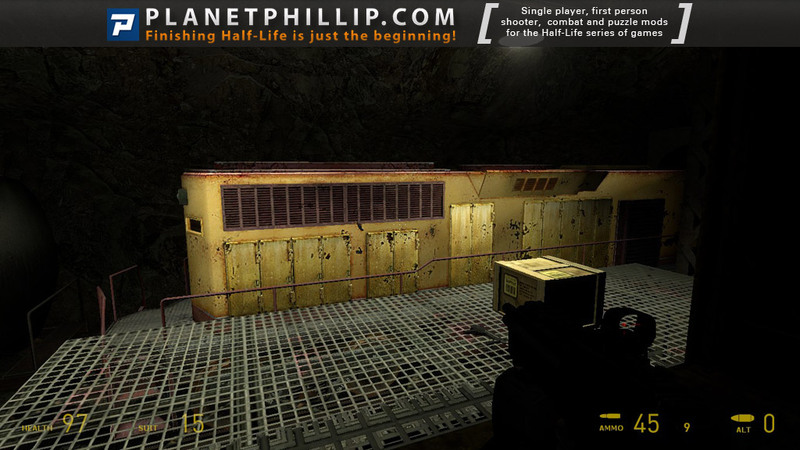 The mapping is excellent, not very often that you see such a polished mapping in a mod, all areas where visually extremely attracting (especially the last level, I was just WOW), the lighting and the texturing is perfect and all the different areas are fit together in a nice and steady way. The puzzles were all very clear and intuitive, never had the feeling of having no clue about where to go, but also was never disappointed by too easy puzzles. The music appears not often, but is well done. Only I missed a music part where you have to wait for the garage door to open up and defend against the coming screamers. All in all, perfectly polished, perfectly playable and especially perfectly enjoyable mod, everyone should play it. I got to weigh in. Yes it is a great mod, but a con that nobody has mentioned is the game’s real lack of long range weapons. No Gravity Gun, no Crossbow and no .357. This makes battles like the one at the end near the bridge, DAMN HARD. And too hard makes a player frustrated. And that’s not good. I’ll do a review later. It will score high, but lose points for the lack of balence in weapons. Ok, the mod is polished, and it plays well. The enviroments are good, and change up nicley throughout the game. Lightning, texture, all of that looks pro. The battles are very fun as well, and the author throws some different challenges at you during the game. Some areas like the big reddish factory is such a beautiful eye-candy event, I wanted to stay in there and hang out for a while! 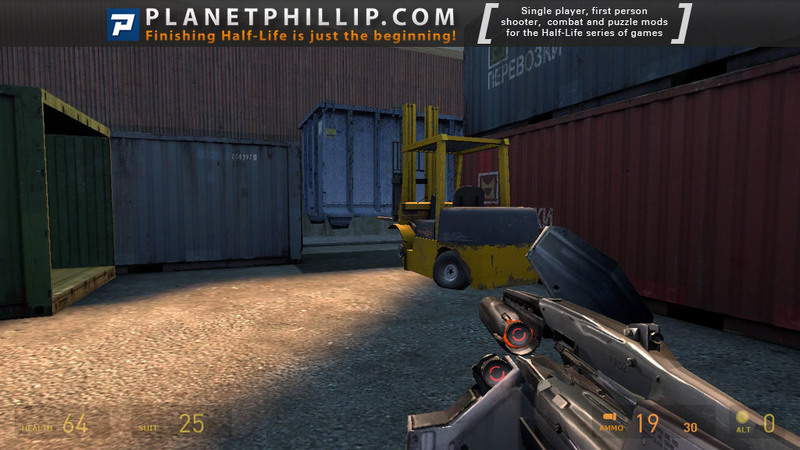 Really, this game feels like a Valve production. 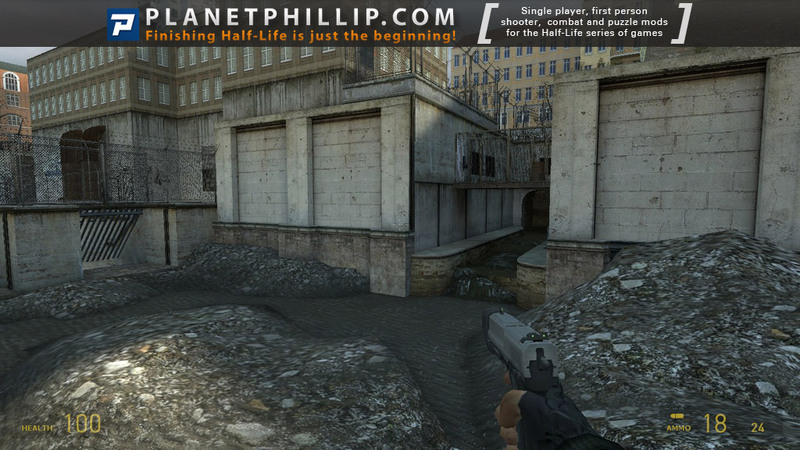 Even the audio is nice, using different music than Valve’s for a nice change up. The one drawback (as I already mentioned) is the lack of weapon balence. Nothing for long range battles, no crossbow or 357 mag. Not even a Gravity Gun to combat the combine when they throw grenades at you long range. So when in bigger long range battles like the several battles near the bridge, the player (to survive) has no choice but to stay back, take lot’s of damage, and use the 9mm pistol as a long range combator…and really that is no fun. Yes you have the Combine Pulse rifle, but that will run out of ammo quick. SMG nades run out fast as well, and really are not very good long range. So really it will come down to the pistol…just to survive. This is a great mod, and deserves a place at the top. I’ll give it a 88, but it could of had a 98 if the weapons problem was fixed. Shame. Got a WOW effect with this one, at least, for the intro sequence which is very well done. You are a resistant posted in City 17 about 300 days before Freeman’s incursion. But the Combine are looking for you and your team and you must reach White Forest. The action is good alternating combat and quiet at the right rhythm while the difficulty increase till you meet the Hunter. Mapping is excellent like a professional work. The parking map and the final one were really impressive. Hope the team will release other mods cause masterpiece like this are too rare. Finally got around to finishing this mod. It’s a fun mod to play and just for sheer length it’s impressive. 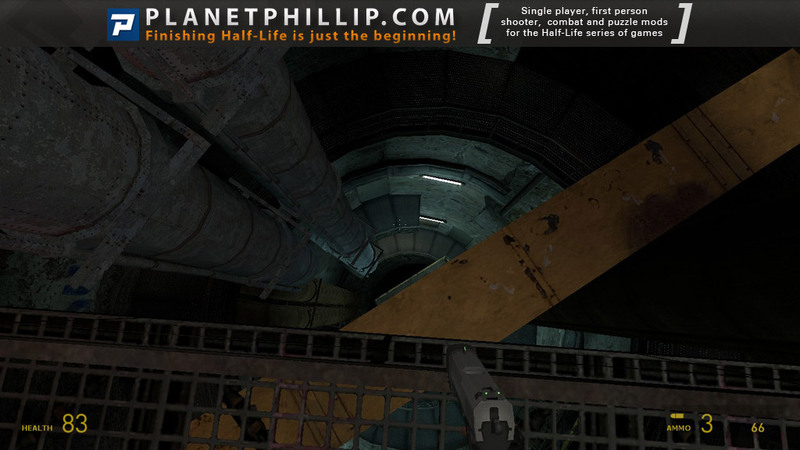 The environments are well presented and the level design is well thought out with lots of space reused in smart ways. It’s challenging in some places but always fairly well balanced. The no flashlight or sprint really got on my nerves. I just have one beef with this mod… I’ve seen all this before. There’s nothing here that’s new with the exception of the clever Hunter recharge thingy. 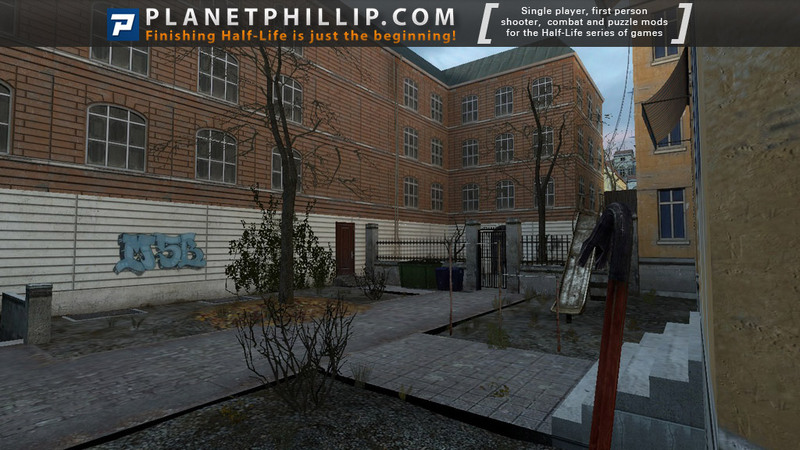 With all the effort and work put into this mod, really you could just go back to the original HL2 and it’s episodes and get a similar playing experience but with more polish. Play it but don’t expect anything to blow your mind. 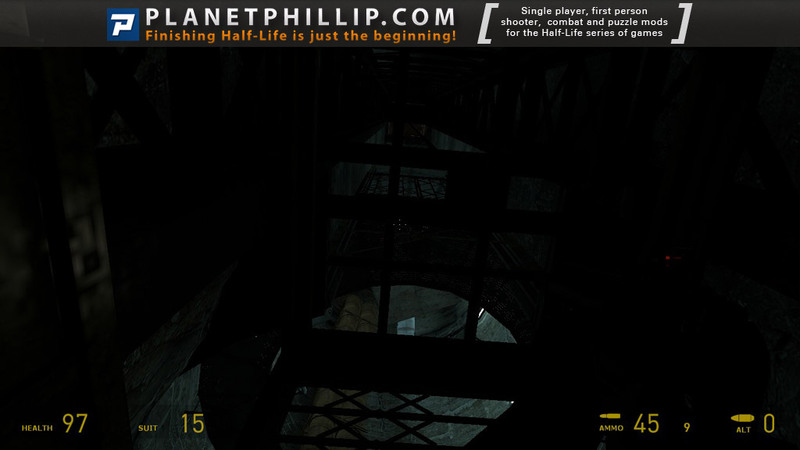 The atmosphere was great, great combination of dark, spooky areas and action parts. The environment looked very realistic and fit the atmosphere perfectly, and the little details made the whole mod just more likable. The train ride was fun, great surroundings and mapping work done there. The canals/underground part was also nice, the level design was concentrated on one point, and you had to work your way to your goal, everything looked small, but it was fun to finally reach the elevator. My favourite part was the administration/office building of the warehouse complex with the snipers and the combine raid. Everything looked just right, and I could easily find my way out without having trouble or getting lost. The ending was a bit disappointing, I expected a bit more than a dark mine and a fading screen, even a door leading inside the base would’ve worked, I wanted to see a deserted, abandoned missile base as a fitting finale for the fight, not just a dark mine and some old guy. But that was the only bad about this mod, and I hope to see more of the creators in the future! Having over a year pass after testing this I felt it was time to actually play it. I noticed not all issues were addressed, nonetheless this is a quality mod in so many ways. Unfortunately at the time of playing I didn’t write anything down as the site was on pause, so hopefully I will come back with a full review in a short while after maybe even replaying it cus it’s just that great and there’s a lot to be mentioned.. hope I won’t end up repeating what everyone else already said. The mod doesn’t show up in my steam library?.. OK they finally fixed it and released a newer version on moddb. The soundtrack strikes me as very good, even from the first chapter, which starts off with believable environments. Voice acting is also top notch. Loved how even the vent breaks the linear pattern and how the level is peppered with small puzzles and you feel like a real infiltrator. In 2nd chapter I remember an elevator with actual weights, now that added to realism and the train ride is still a hoot. G-Man makes his appearance in 3rd chapter. I still think that mounted gun has a bad placement in the fast zombie area. And G-Man honors us with his presence again! aaaaand the beautiful indoors in that factory is still breathtaking. Too bad I found a light bug in that area, right in the first room to the left (the room is dark or lit depending on the angle you sit in), no biggie, I still contacted them about it. In the final chapter, the long range pistol is still the best wep against the last combine and that’s boring, but the ending wraps everything up pretty well and still leaves us wanting more. I was glad I could play this little gem again as I got nostalgic from listening to its marvelous soundtrack as any other mp3s. Playing time is a guess, but I’m a cautious explorer. I enjoyed this mod very much. The opening sequence where you are trying to escape the clutches of the Combine has a real sense of urgency and danger. Difficulty level was right for me, apart from two scenes. These were the hoard of fast zombies when you’re waiting for a door to rise and the hunter combat. The hunter “protoype” was a good idea for a boss fight. Play it now. You say the “files are in the Sourcemods folder”, are they in a precursor folder? Best I can offer is to install it this weekend and see what happens. and rightly in The Hall of Fame. Great mod, almost as good as Mission Improbable. 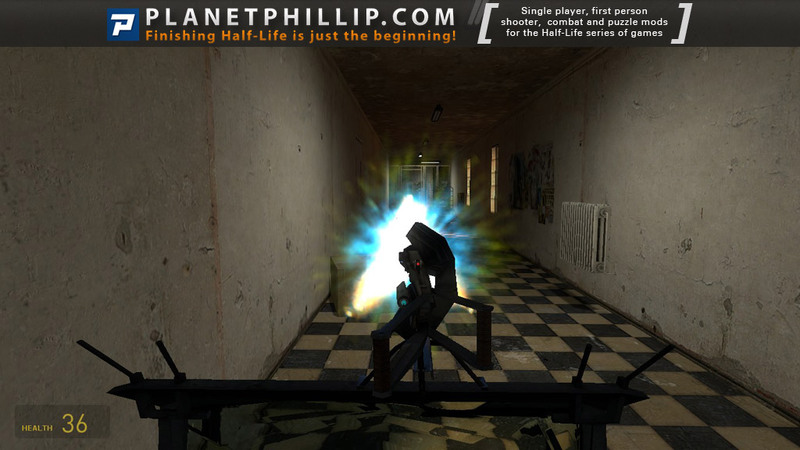 Precursor is hands down one of the best mods I’ve ever played for HL2. 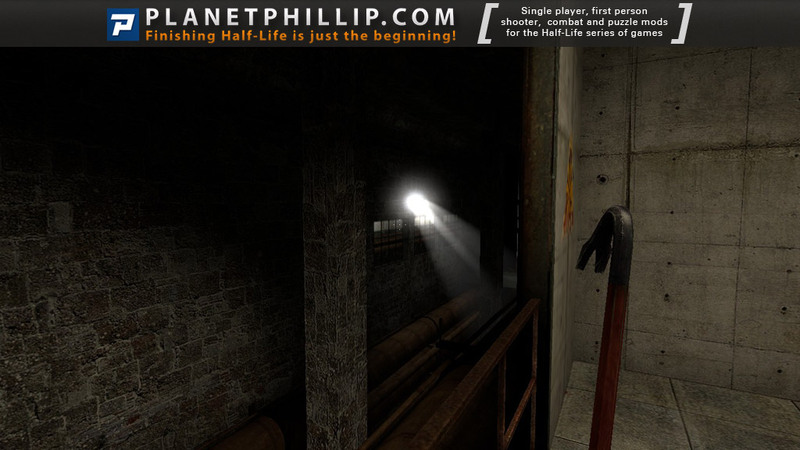 There’s original story, orignal voice acting, and even original game-play elements you won’t find in the HL2 series — with much of it being Valve quality. 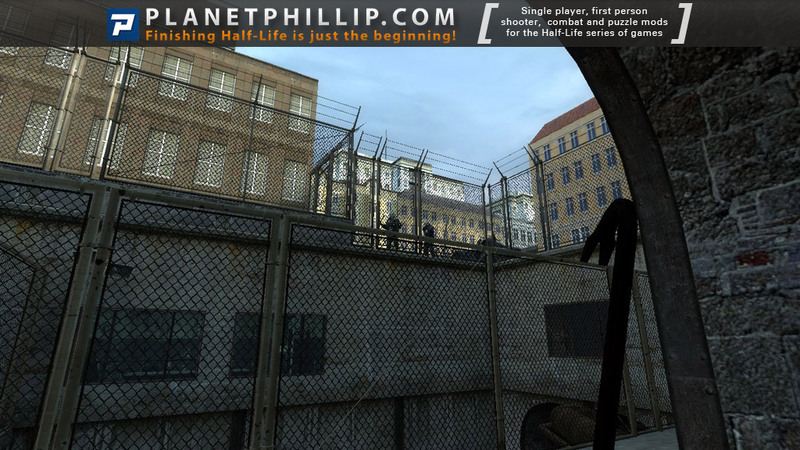 I played this mod initially because I was feeling nostalgic about HL2 and wanted to have something resembling that first experience I had with the HL2 series. This mod didn’t disappoint. 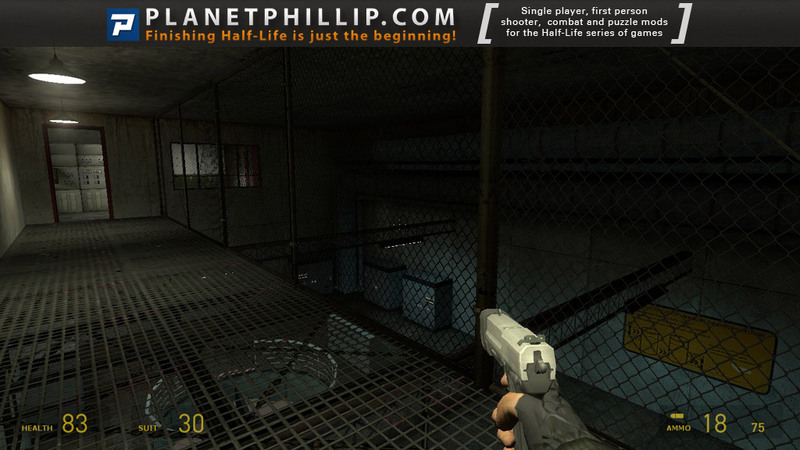 There’s great atmosphere, challenging combat, and a few puzzles to break it up in between. 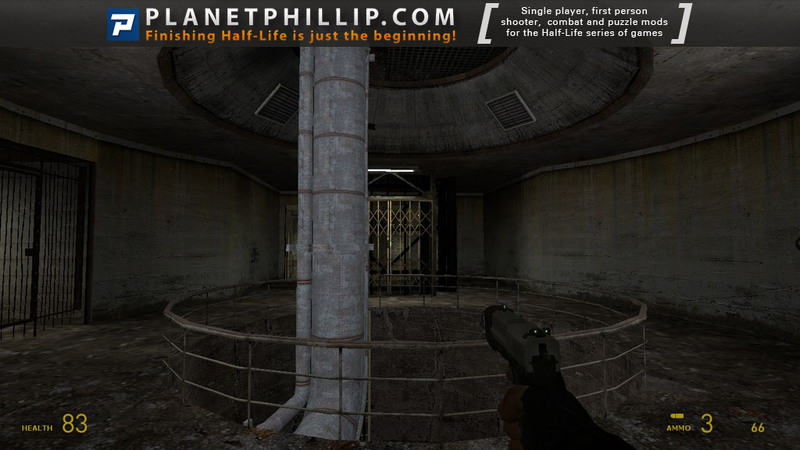 Unlike some mods that end rather abruptly (and disappointingly so) the ending of Precursor is well done and even fits in excellently with the HL2 series. It is, honestly, a delightful cherry on top of the awesome Sundae that is this mod. This mod has to be one of my favourites, it has a very excellent environment/atmosphere and gameplay, for me this mod had clever and nice enemy placements with fitting soundtrack. Even if it was short and plain, but it’s definitely a must play and worth the time! I found the opening section to be the strongest part of this mod. Very unique and exciting. I found the lighting to sometimes be flat and boring to look at. Main gripe was the zombie section, Especially when you had to shoot those fast zombies with the mounted ar2. Found myself low on health a lot, but it only added to the excitement and desperation. Overall a great mod that I recommend everyone to play. I am catching up on releases that I never got around to playing and this was highly praised. My interest was caught by the intro, wich is a part of a mod that is usually overlooked. 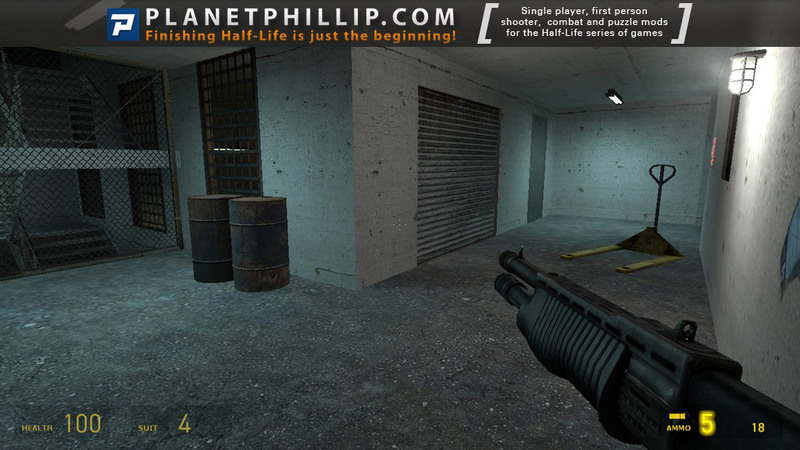 When the actual gameplay started, I didn’t really see why so many people enjoyed this mod, I was bored. I felt like I wasn’t doing anything, just entering a room, finding the way out and repeat. Later though, the gameplay picked up and starting to get more interested. I am glad I played this and I recommend everyone doing the same. I really like playing as someone other than freeman and this is the one of them that i enjoyed. Also didnt interacting with any resistance member was depressing and made me kinda sad. 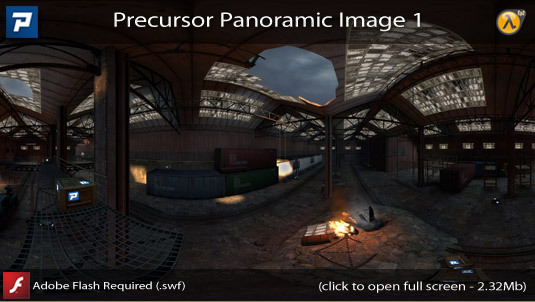 Great work from Precursor team and i am looking forward to their future works. Gotta agree with most here, this is one of the best mods. It’s such a great adventure and I loved the starting moments trying to escape the combine – nerve wracking and done superbly!! Everything that follows is tremendous fun and each location has gorgeous attention to detail. 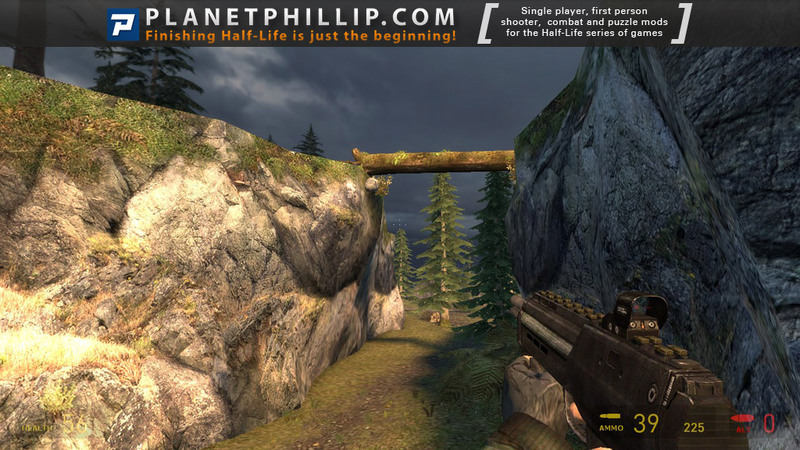 Every step of the way I was entertained by a great design and perfect balance of action and exploration. Loved it. Sadly, I’ve discovered two flaws (for me). Firstly, the mounted guns had no effect. It seemed to work so I was blasting away but the fast zombies walked straight through and leathered me! lol. I twigged that nothing was actually happening ammo wise by my second attempt so I scrapped through messily with my trusty crowbar!! This mod is staying on my hard drive. Excellent mod. 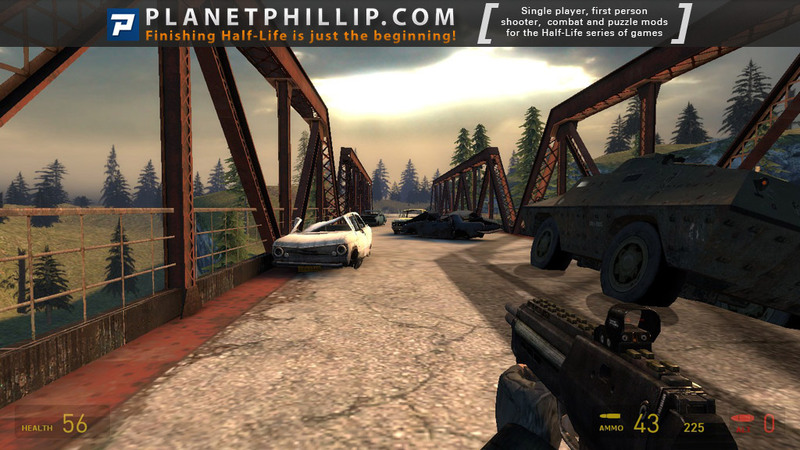 Good difficulty, excellent environment, excellent maps and textures. I wish it was longer, I hope they make a sequel out of it. 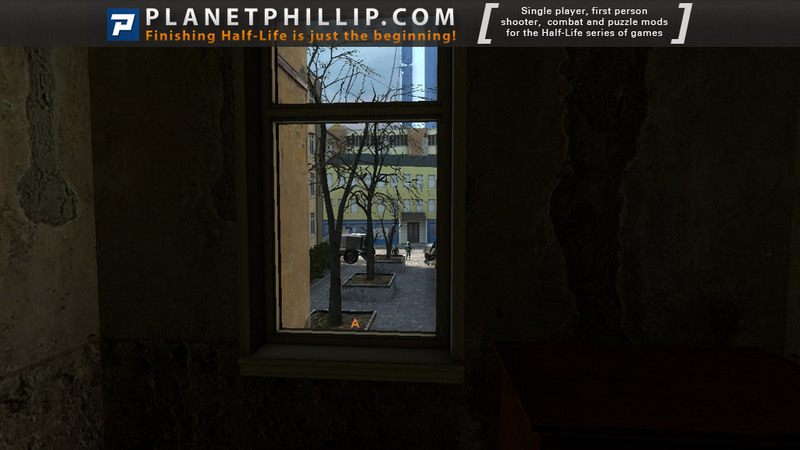 This is personally one of my favorite mods that sets up a story in the Half-Life universe correctly. 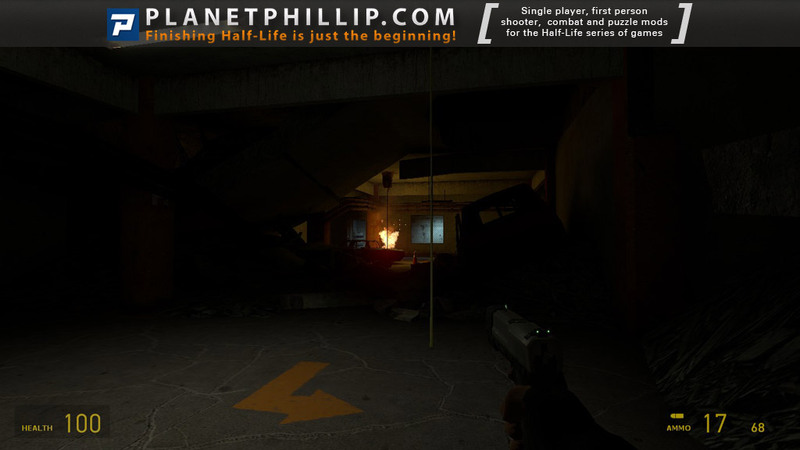 It’s also one of those mods that sets up an atmosphere that feels much like a Half-Life 2 game. For me, it’s quite hard to try to interpret that feeling when making a mod, and Precursor did it so well. What I mean is the amount of detail that was placed into it. 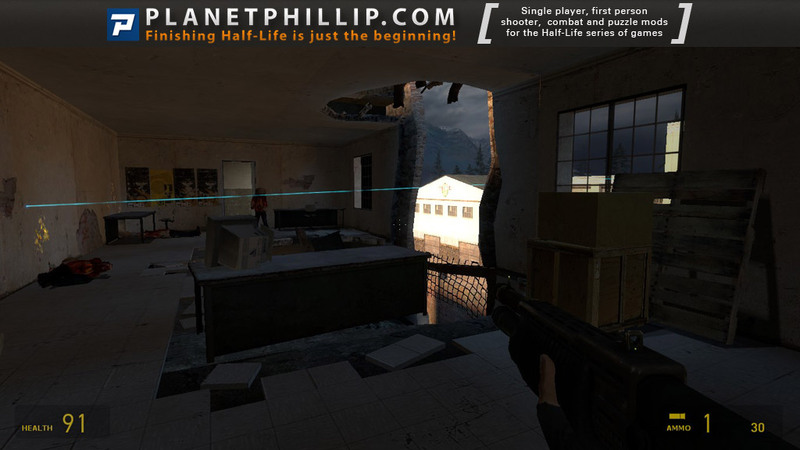 The design, combat, and gameplay that I experienced in this mod looks as if it belongs to Half-Life 2, which, in my opinion, every mod that is setting up a story in Half-Life 2 should definitely have. Well it’s encouraging to find that after years of [off and on] looking for decent HL mods to run, there are still some good ones out there that are new to me. Nothing especially innovative but still quite well done, great attention to detail, giving the environment that “lived in” look that is missing from many other mods.